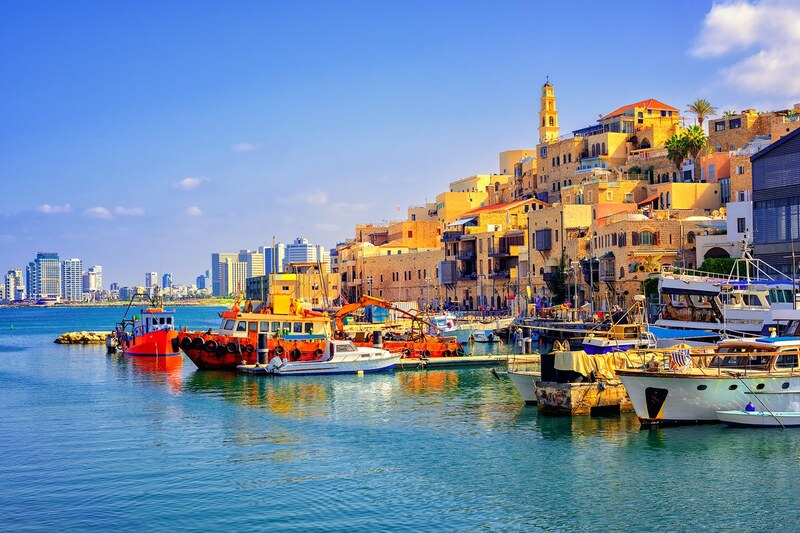 Cosmopolitan and alluring, Tel Aviv is a global crossroads where international sophisticates sample an irresistible mix of modernity and memory. 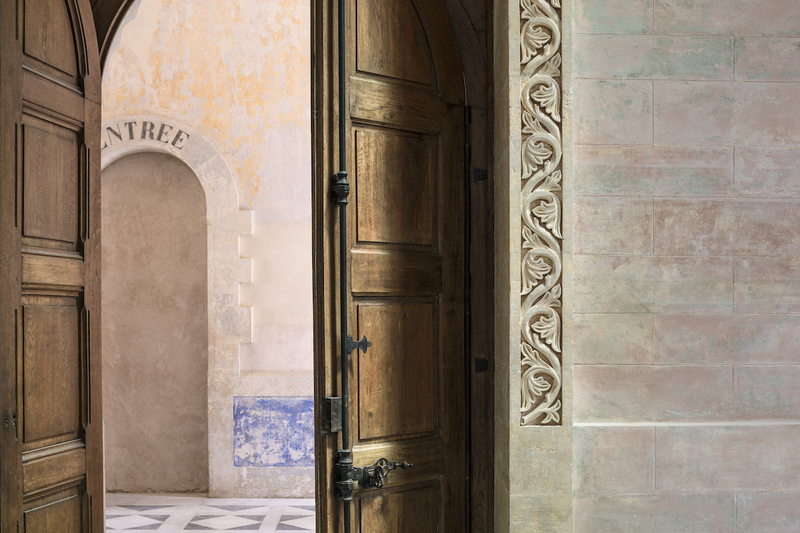 One thousand years of history sets the stage for a lifestyle of modern pleasure and perfection. 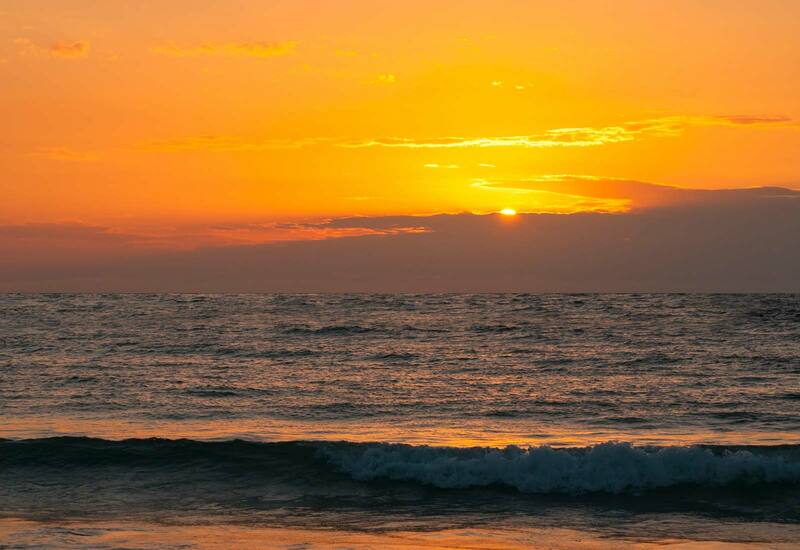 This is a place where glorious sunsets and endless horizons meet a towering skyline overlooking a vibrant and exuberant culture. 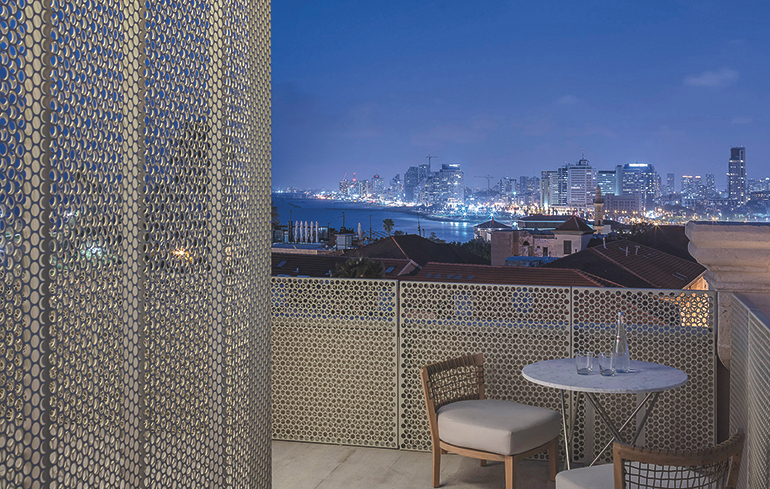 Nightlife that thrives from dusk until dawn completes the picture of a diverse and intoxicating melting pot that is yours to call home with The Jaffa Residences. 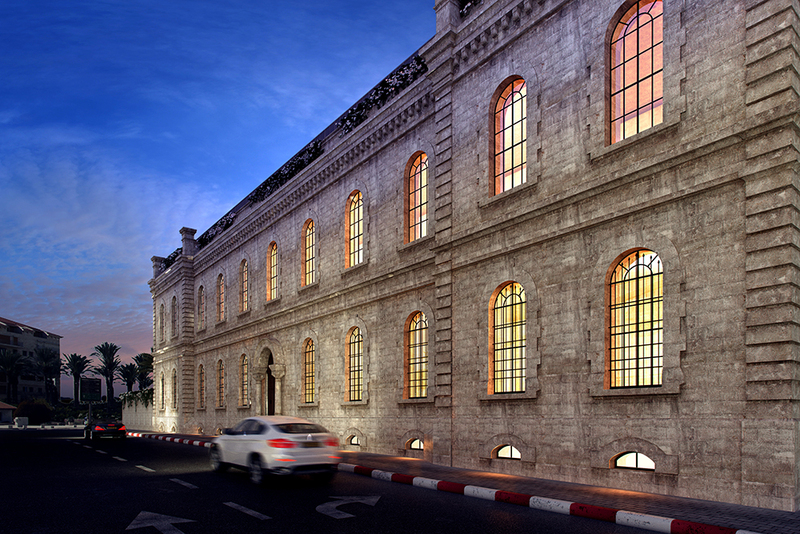 This masterful and magnificent redevelopment is set within the 19th century buildings that once housed Jaffa’s French Hospital. 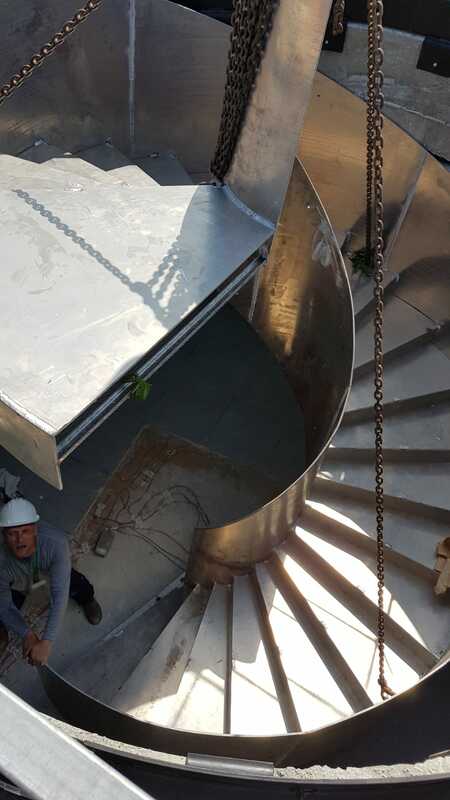 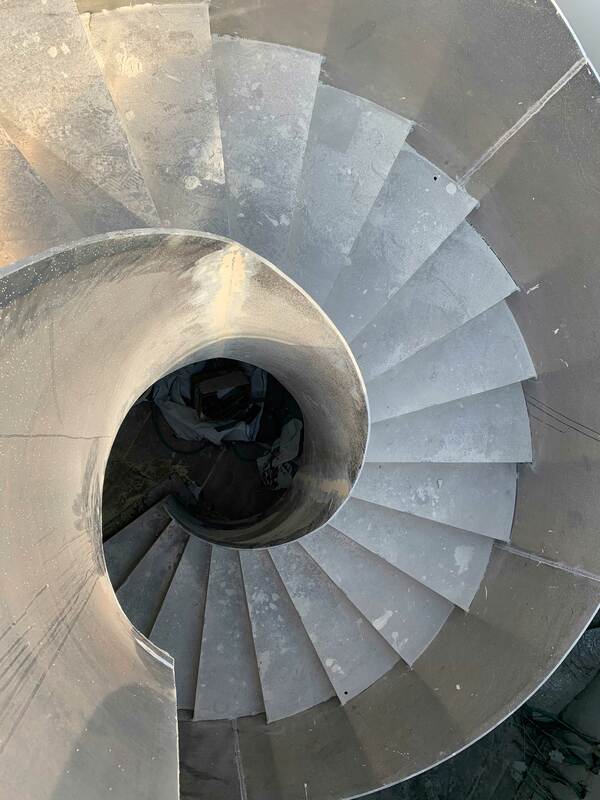 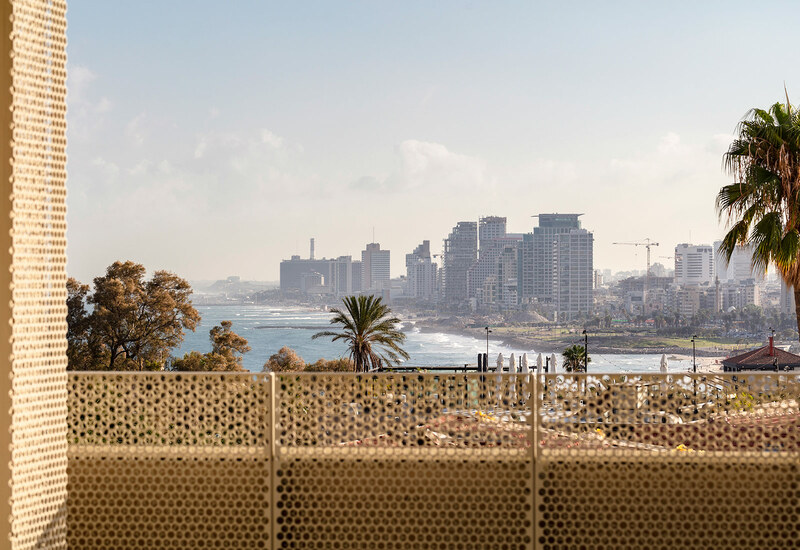 Mindful of its heritage as one of Tel Aviv’s iconic historic landmarks, the project retains architectural features from the original building. 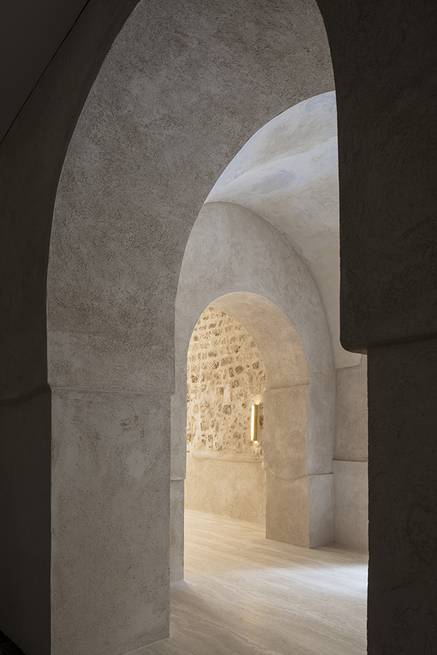 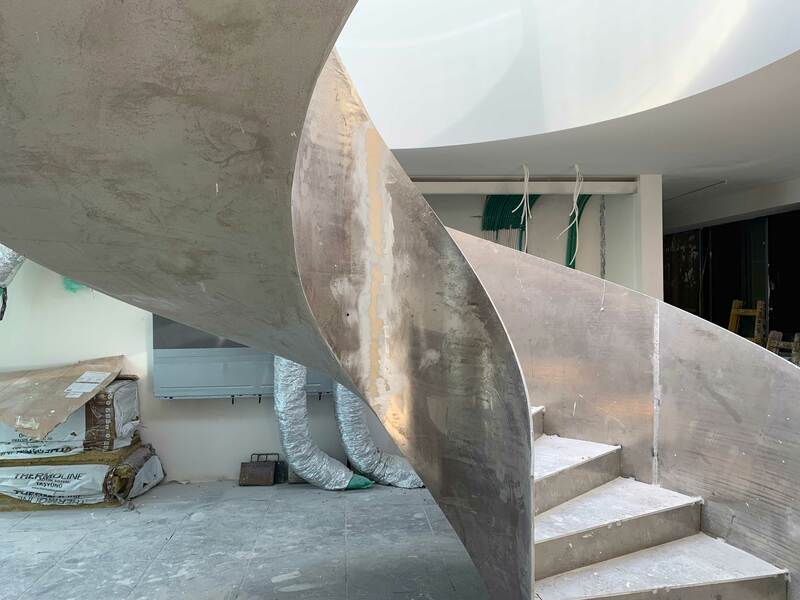 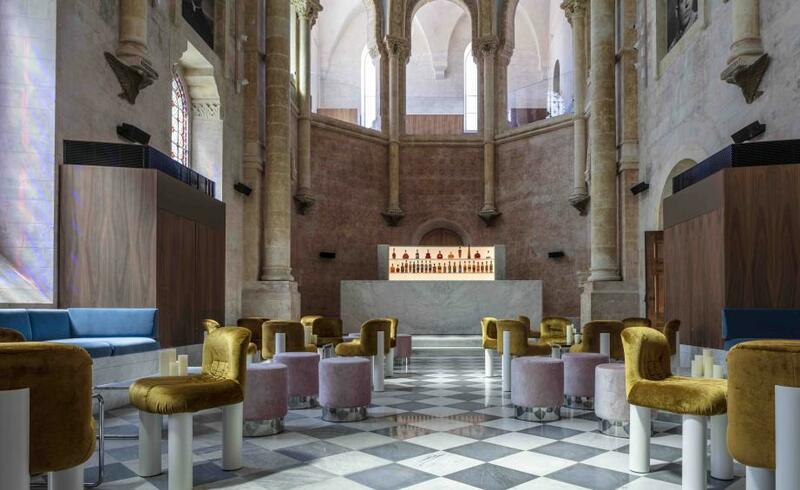 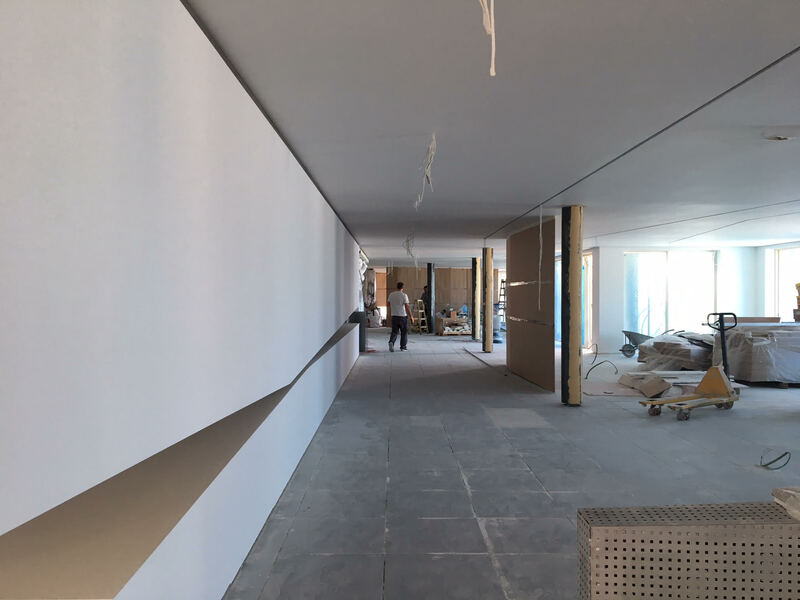 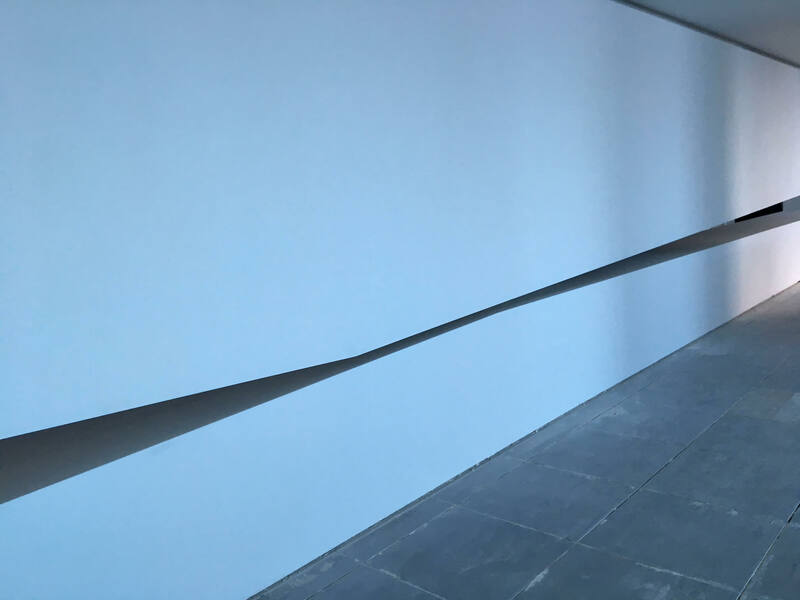 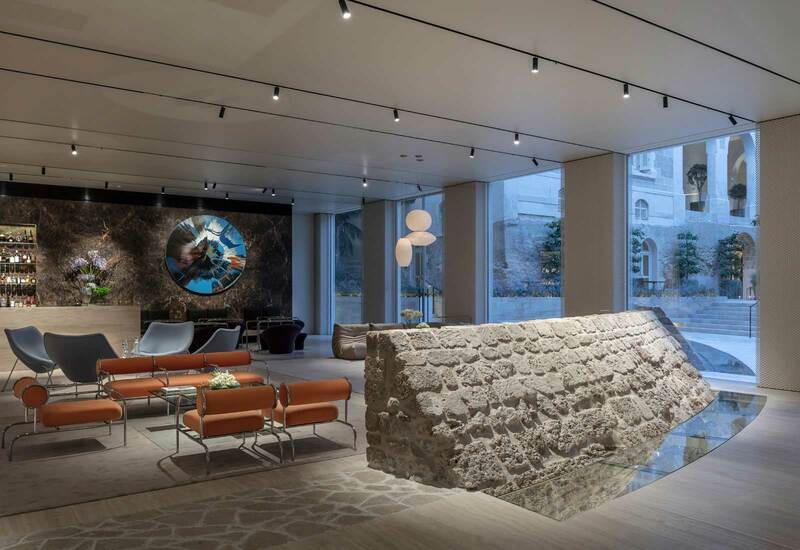 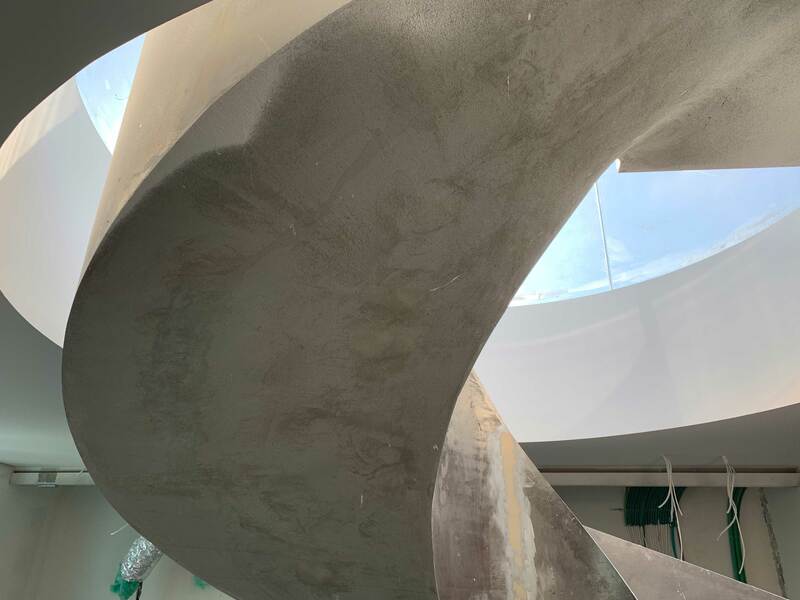 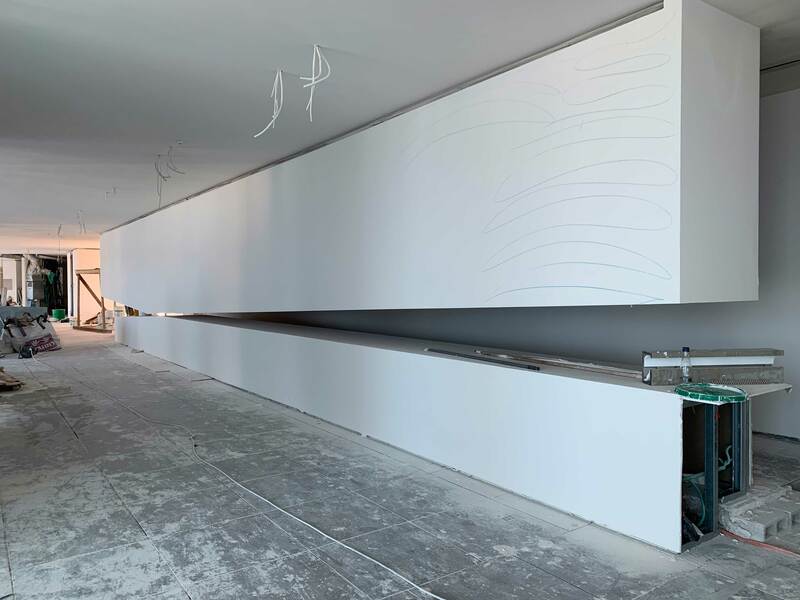 Designed by world renowned architect John Pawson in collaboration with local architect Ramy Gill, the duo tastefully transformed the 2,000-year-old historic foundations uncovered during the construction into inviting and trendy public spaces. 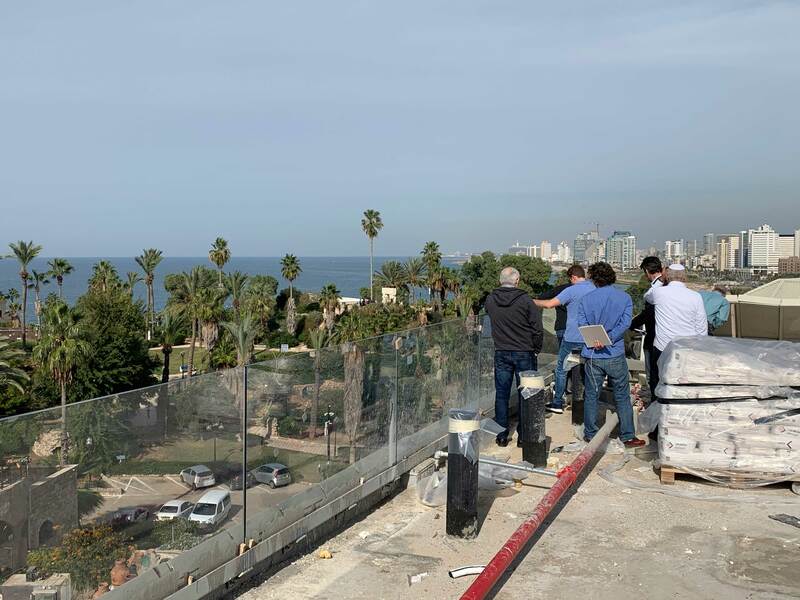 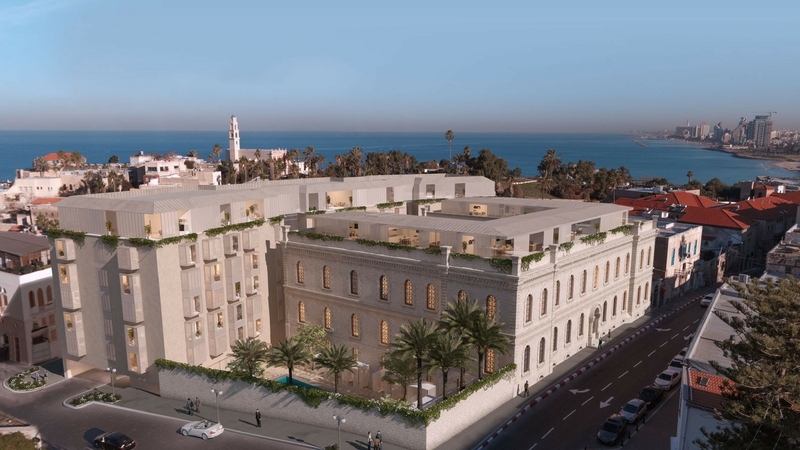 All Residences are located in the newly constructed wing adjacent to the main hotel building with a private entrance and easy access to the diverse, high quality services and delightful amenities of the The Jaffa. 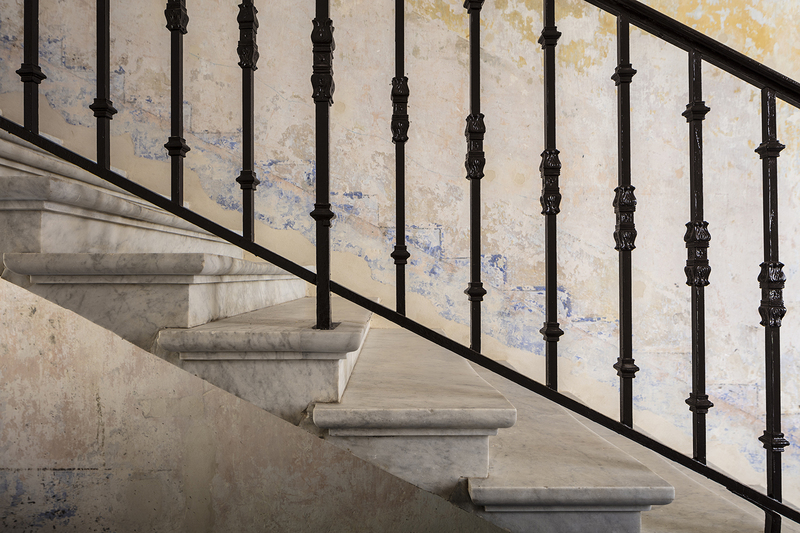 Furnished or unfurnished, the choice for your home is uniquely yours. 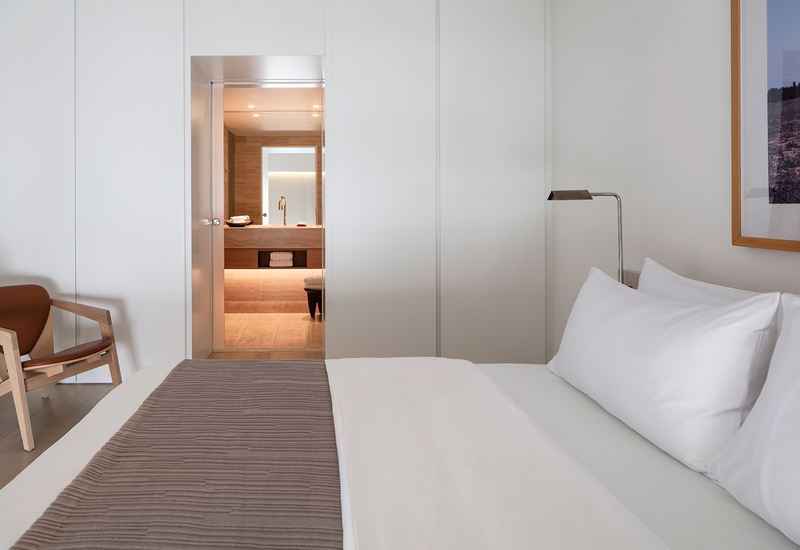 And, of course, 24-Hour Whatever/Whenever® Services are just a touch-of-a-button away. 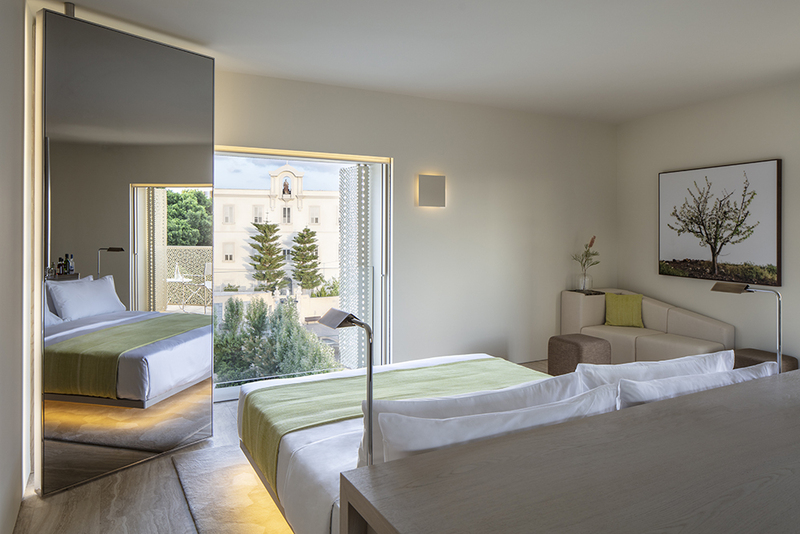 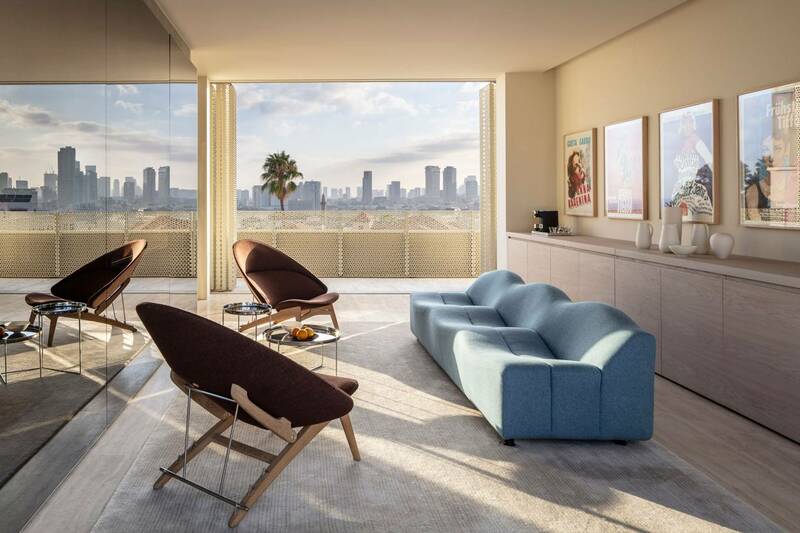 The Jaffa Residences feature sleek modern interiors with contemporary furnishings and luxurious finishes throughout. Careful attention to each and every detail creates an ambiance that is both aesthetically sophisticated and exceedingly comfortable. 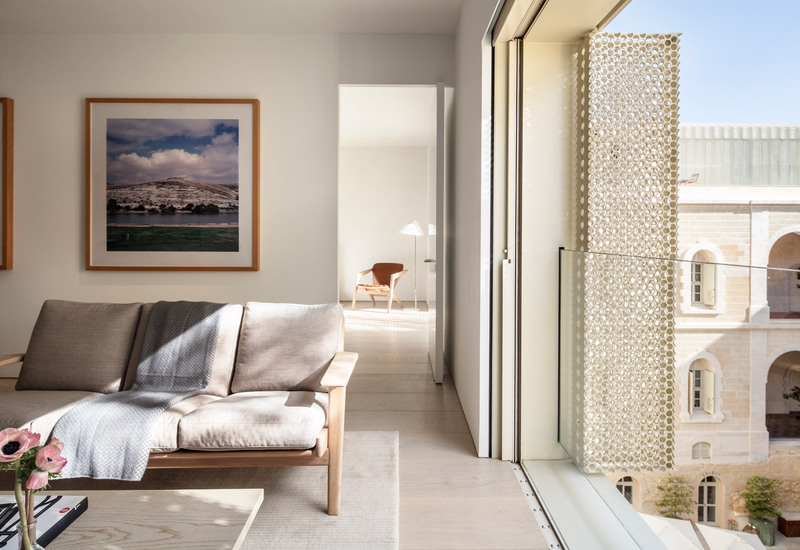 The Jaffa Residences offer elegant built-in elements, floor-to-ceiling windows and hardwood floors. 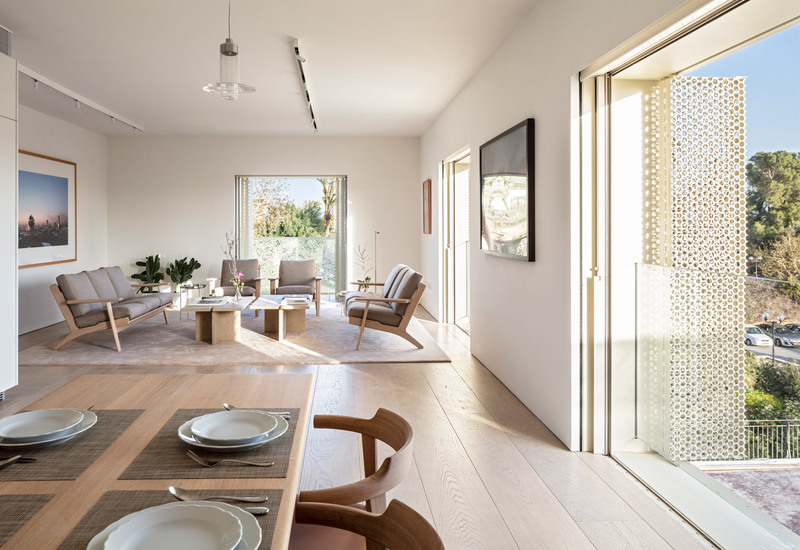 Stainless steel Miele appliances set within Corian countertops complete John Pawson’s exquisitely designed kitchens. 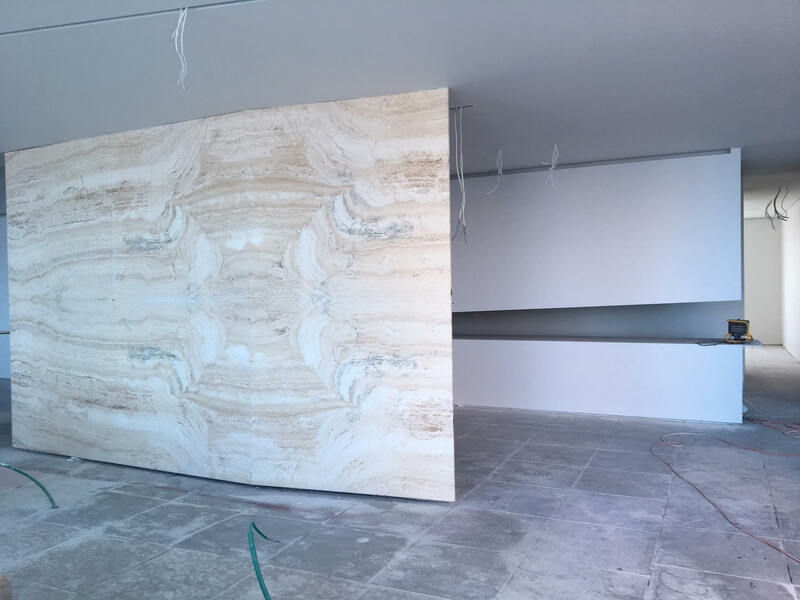 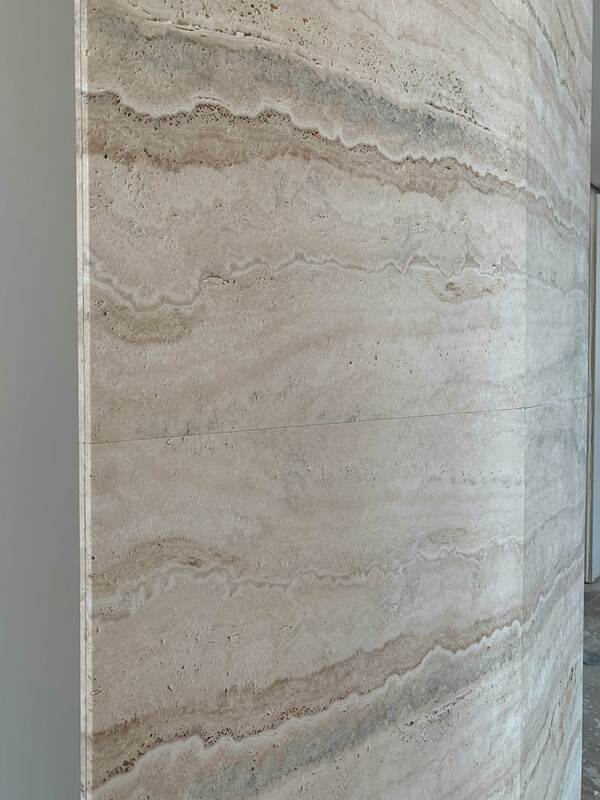 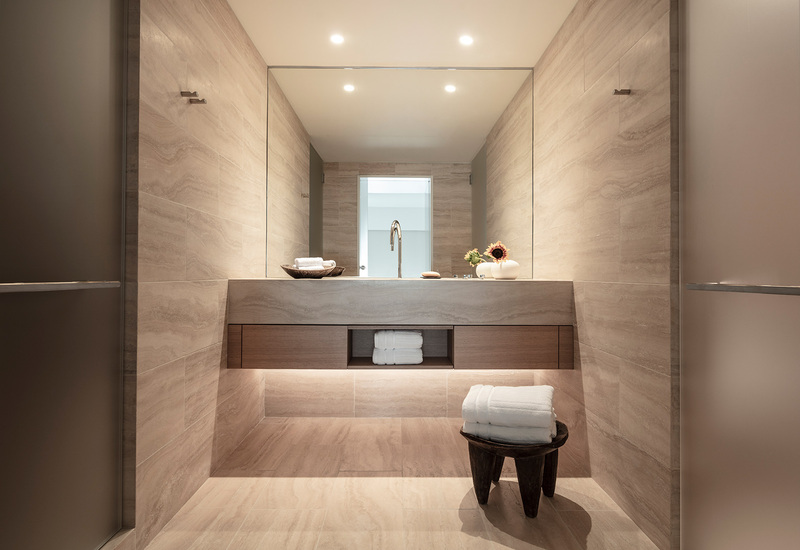 The spacious bathrooms are finished in marble stonework and premium Duravit fixtures. 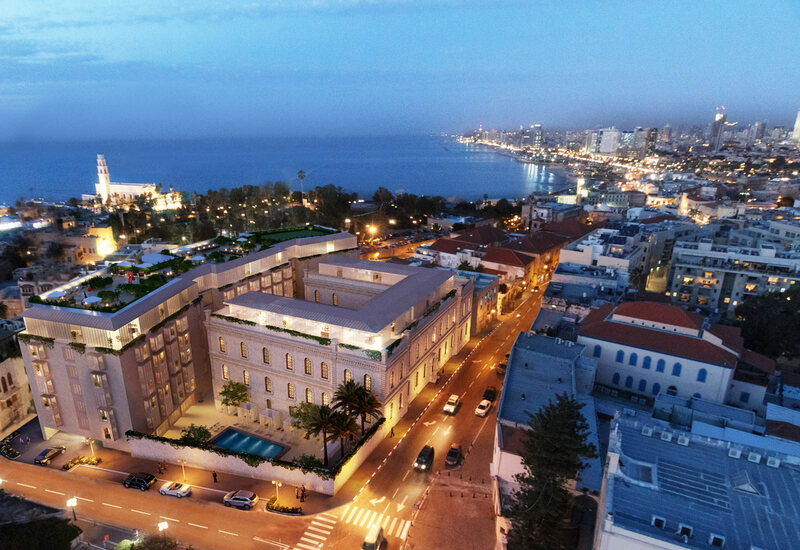 During the past 25 years, RFR HOLDING has assembled a world-class portfolio of commercial and residential properties including luxury condominiums/hotels, high-end retail developments and signature office buildings. 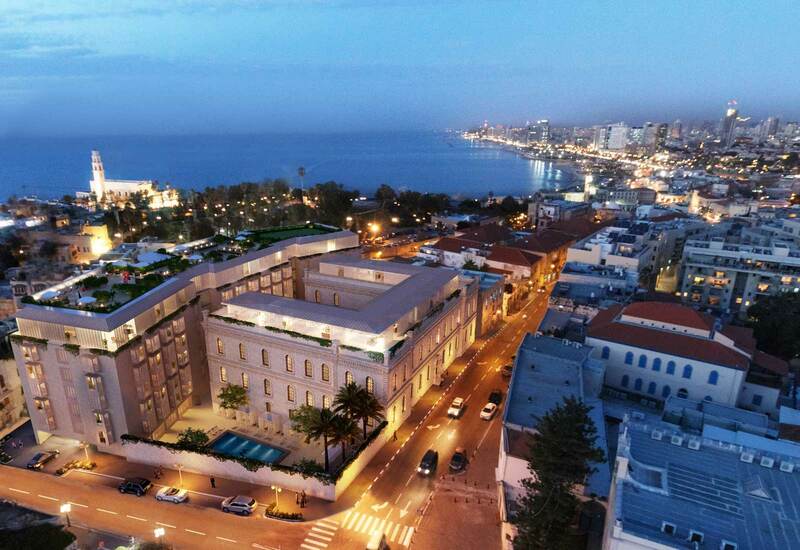 The RFR team leads the industry in operating, developing, leasing, and managing world-class properties. 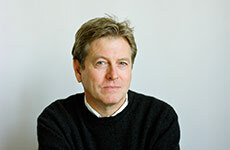 From the moment his work first came to public attention in the early 1980s, John Pawson’s impact on the world of contemporary architecture has been profound. 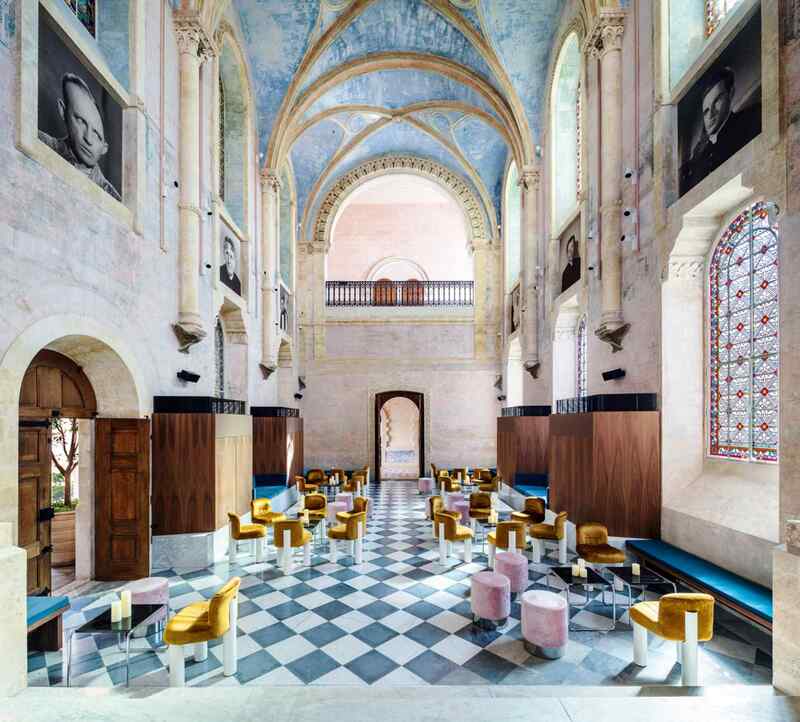 Famous for his rigorously minimal style, he has worked on projects as wide-ranging as Calvin Klein’s flagship store in Manhattan and a new Cistercian monastery in the Czech Republic. 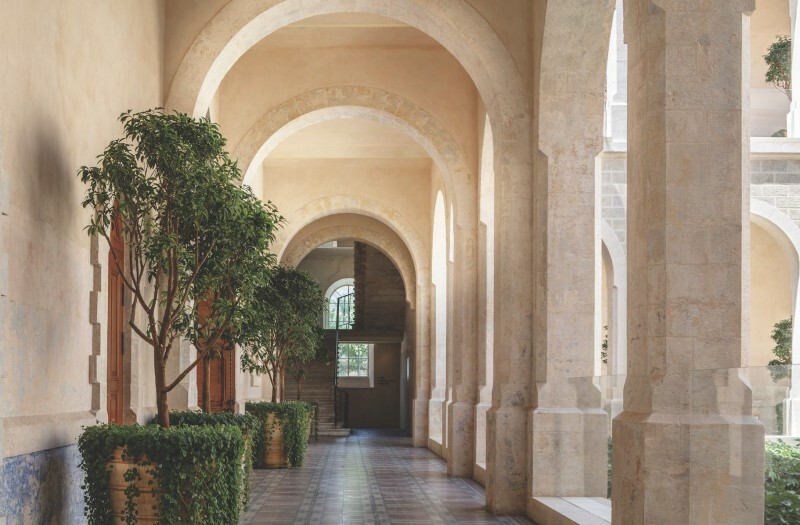 Publishing projects include the best-selling book, Minimum, exploring the idea of simplicity in art, architecture, and design across a range of historical and cultural contexts. 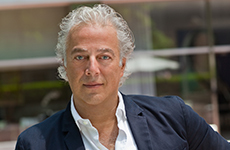 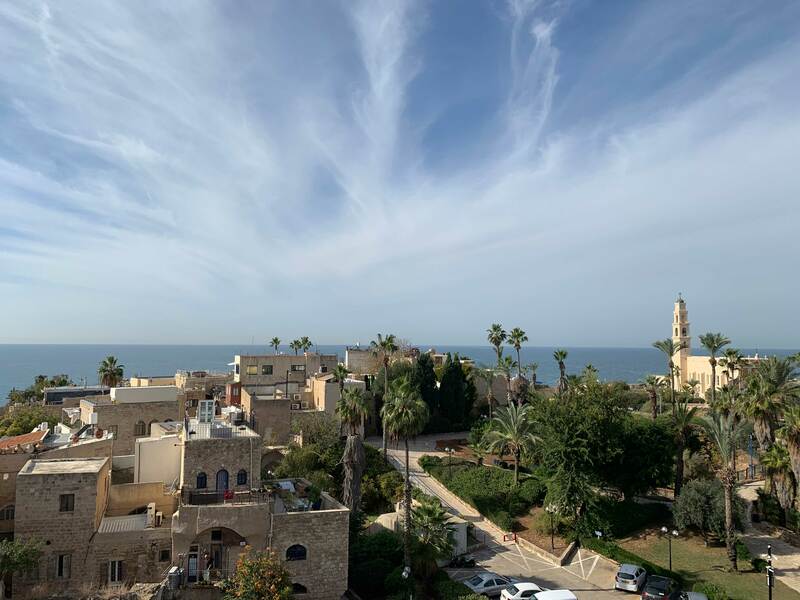 A prolific Israeli architect, Ramy Gill has established himself as a leading authority on the history and architecture of Jaffa. 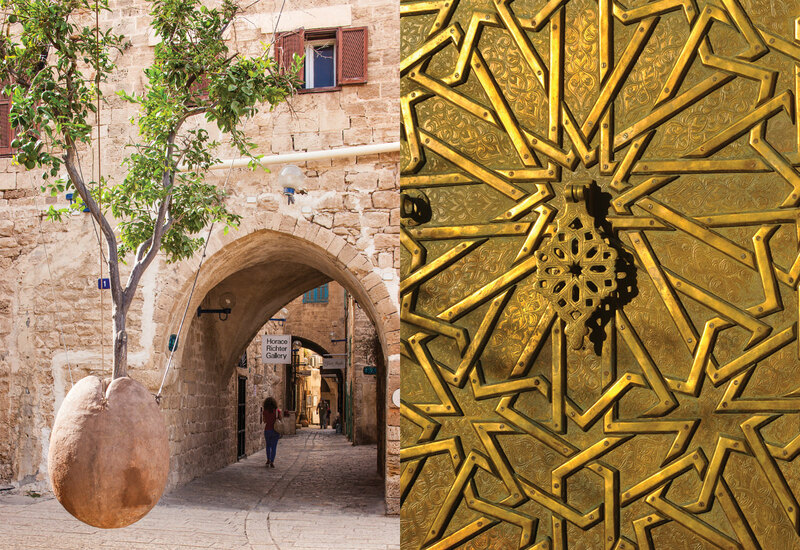 He was the lead architect on the redesign of the Jaffa Port and published a book about its architecture that is a definitive reference guide on the subject. 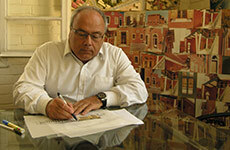 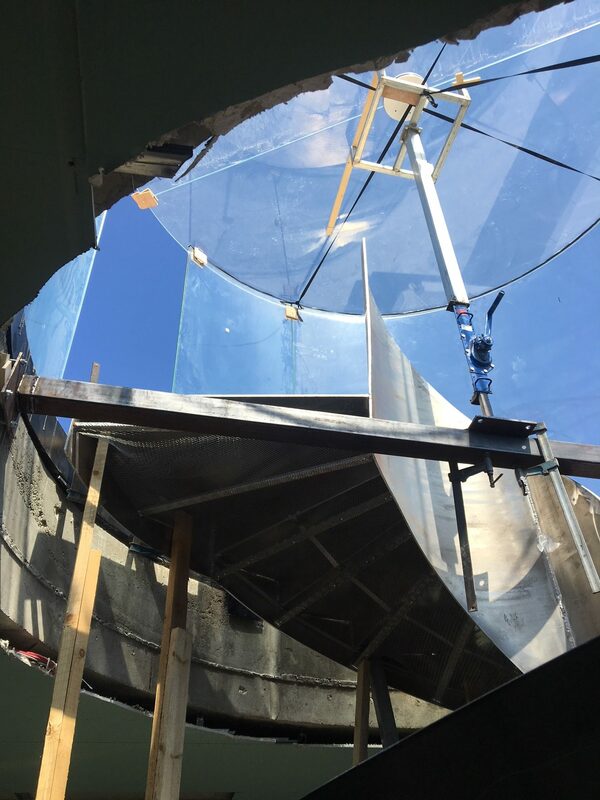 Ramy Gill is known for his innovative use of ‘green’ energy and materials. 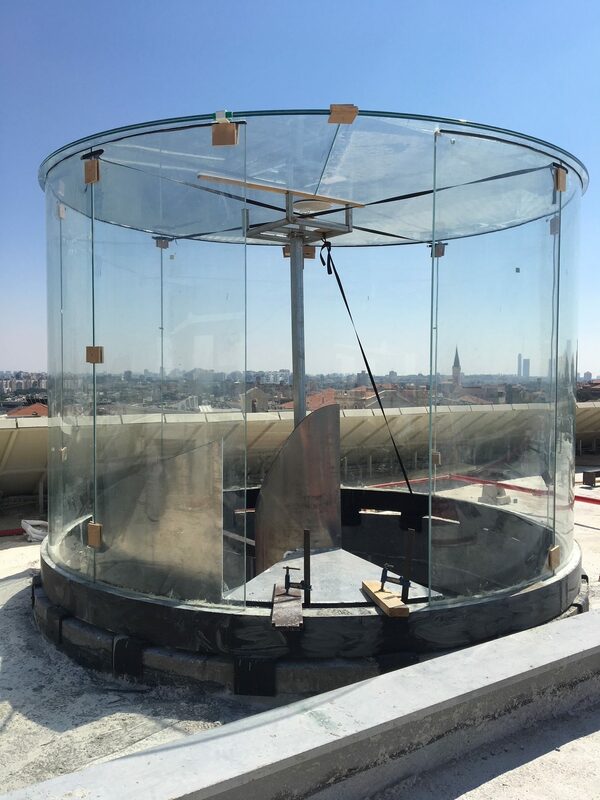 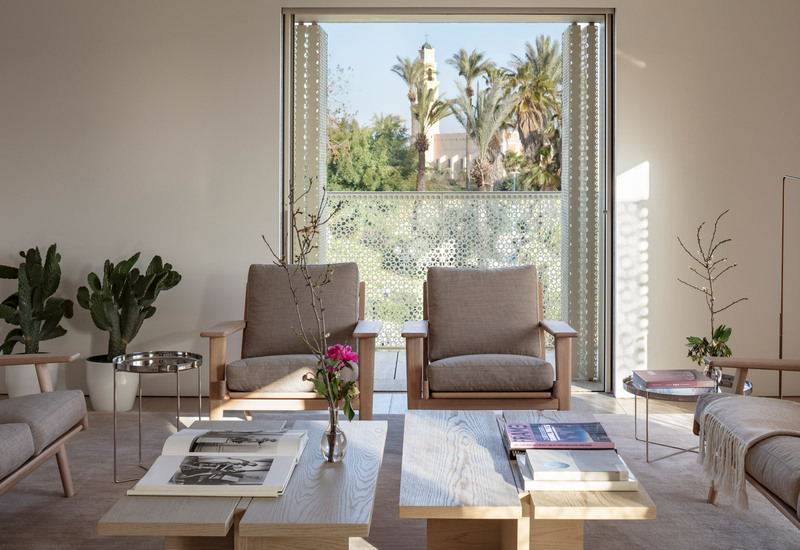 His ecologically minded projects, including public buildings and private residences, pay tribute to the culture and landscape from which they derive their inspiration. 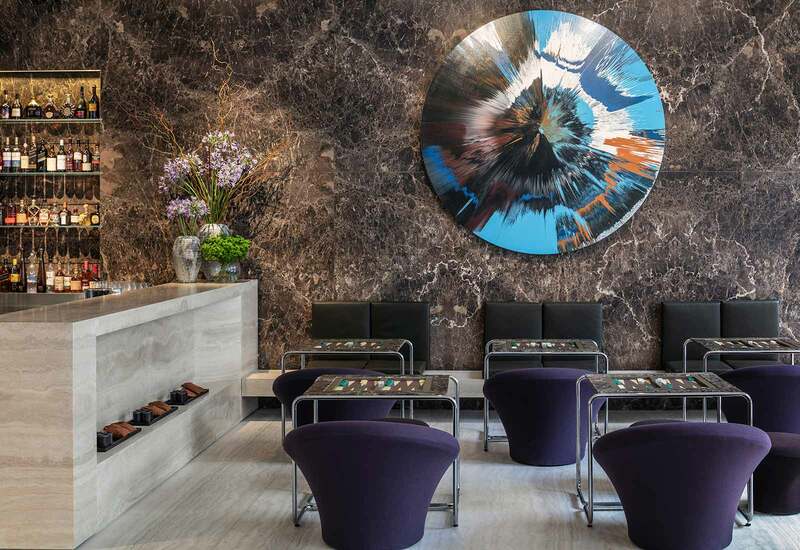 Break in style in a former hospital: Modern Damien Hirst art and stylish Shirt Kuramata sofas look perfect in a setting that oozes with history. 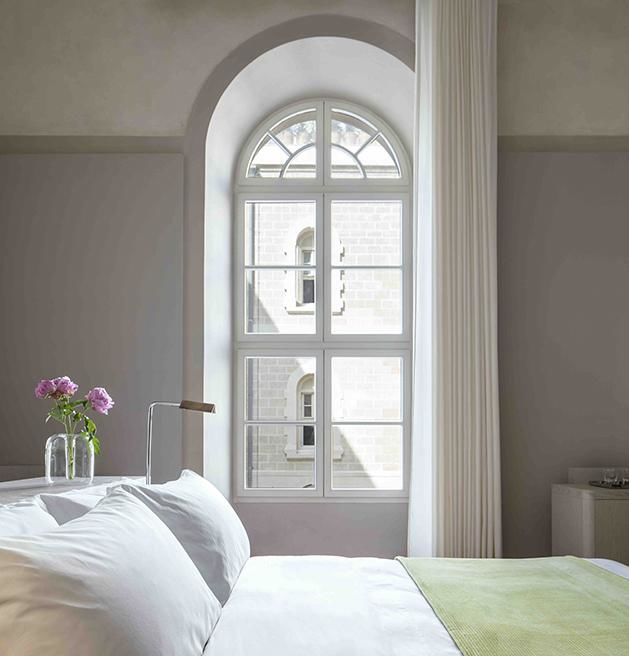 A renovated 19th-century hospital combined with a substantial new-build, the hotel is a cross-continental collaboration. 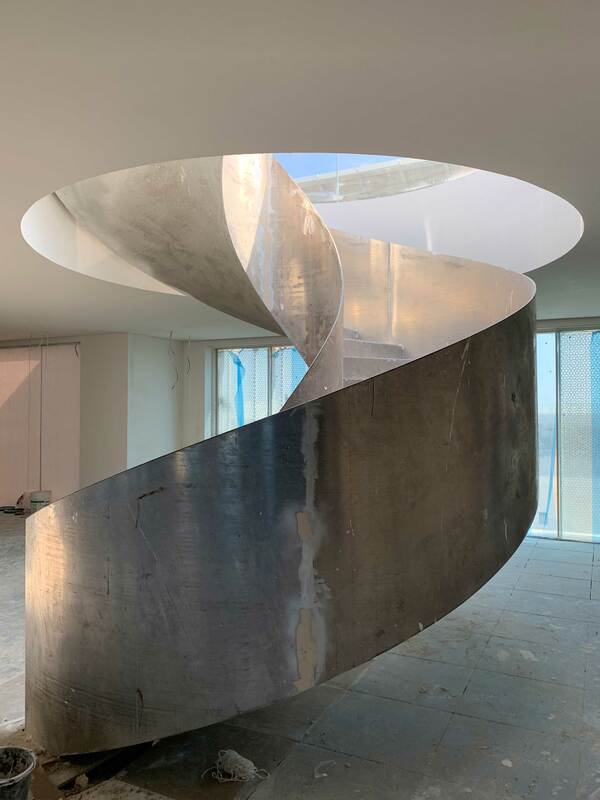 „The Jaffa“ gelang dem britischen Stararchitekten John Pawson ein großer Wurf. 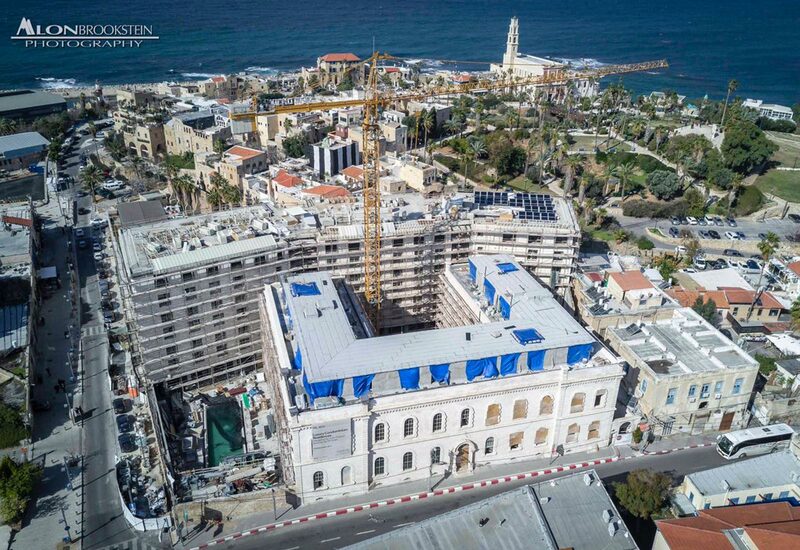 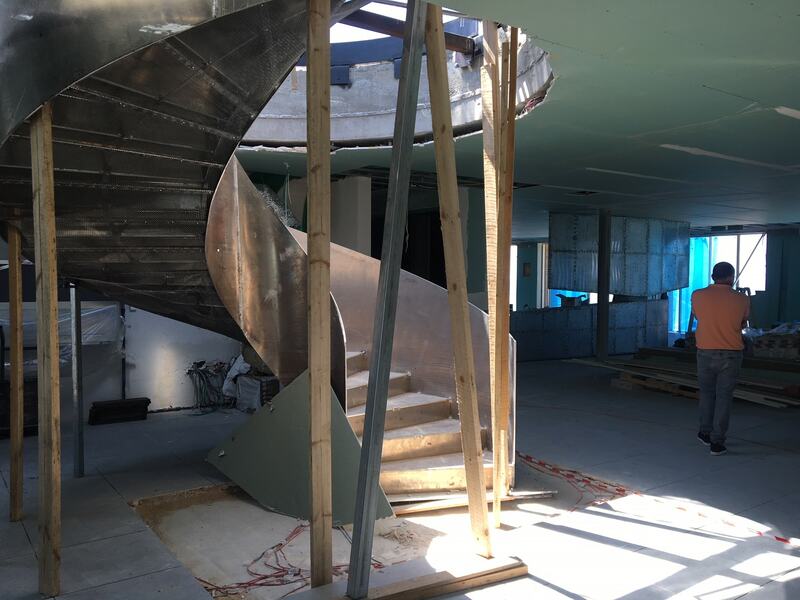 Das 5-Sterne-Hotel in Tel Aviv entstand in einem historischen Hospital aus dem 19. 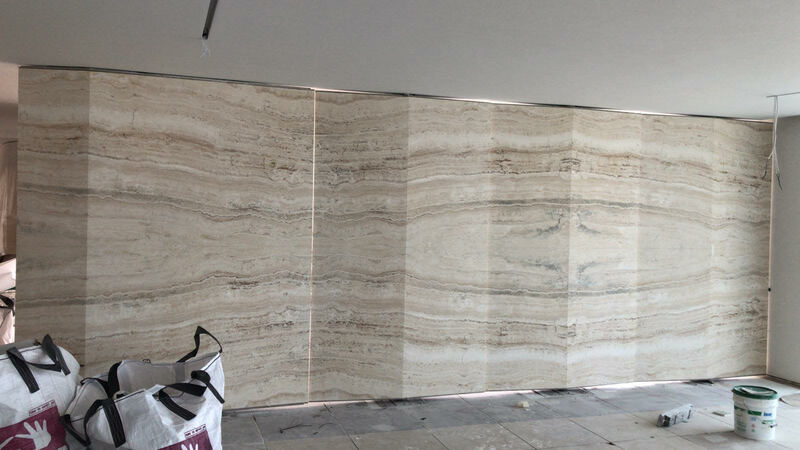 Jahrhundert voller Säulen, Marmorböden und bunter Bleiglasfenster. 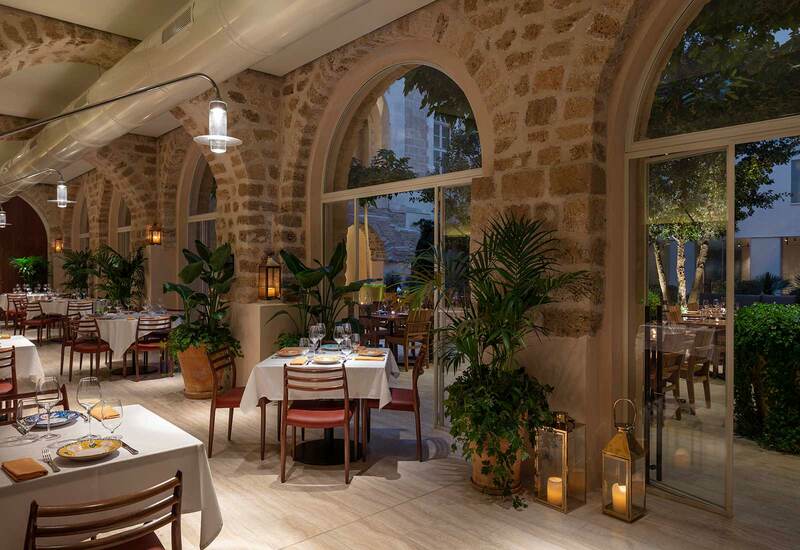 Built on the site of a 19th-century French hospital, the Jaffa now offers rehabilitation of a more luxurious variety. 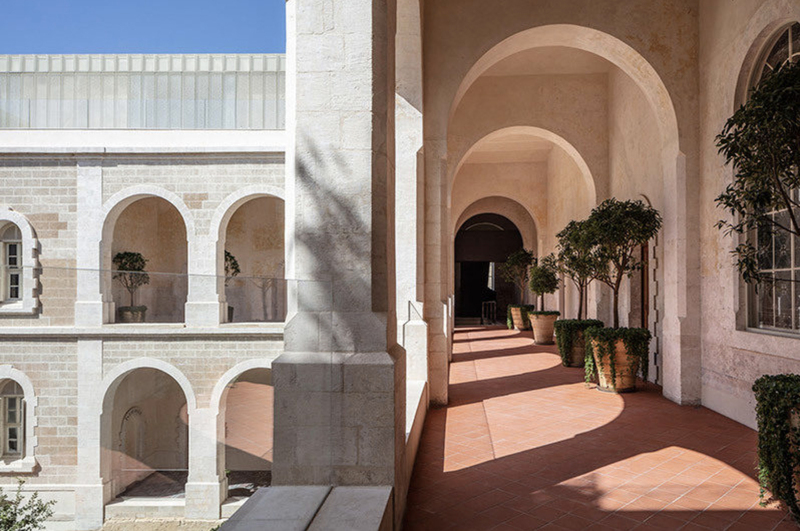 Le nouvel hôtel de John Pawson en Israël. 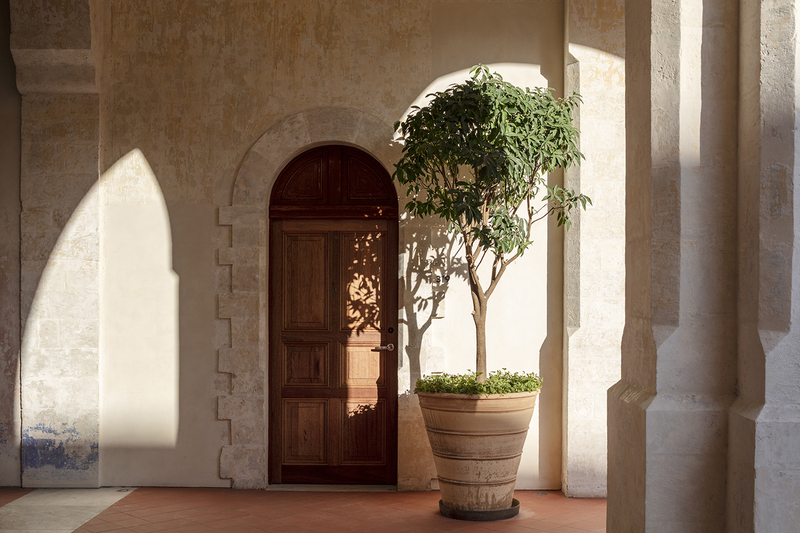 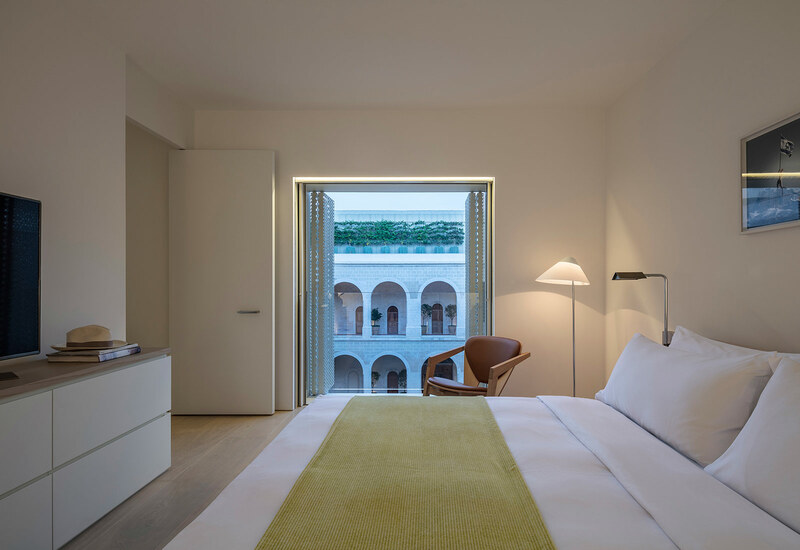 We look beyond the lobby of The Jaffa, a groundbreaking hotel in Israel created by British architect John Pawson. 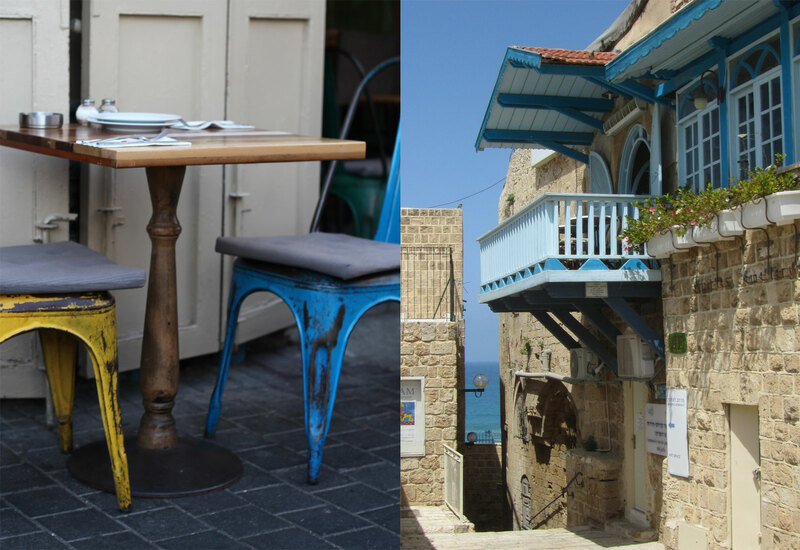 Chic hotels, amazing food and hip bars are transforming this historic area in Tel Aviv. 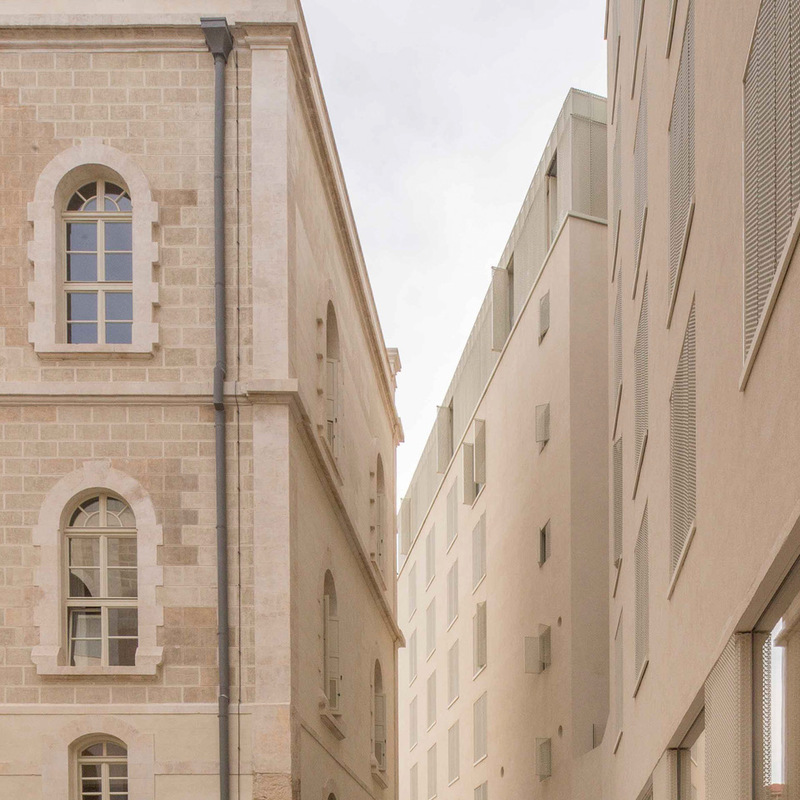 C’est dans un ancien hôpital français du XIXe siècle dominant l’ancien port que s’est installé l’hôtel The Jaffa, dernier-né de l’architecte John Pawson. 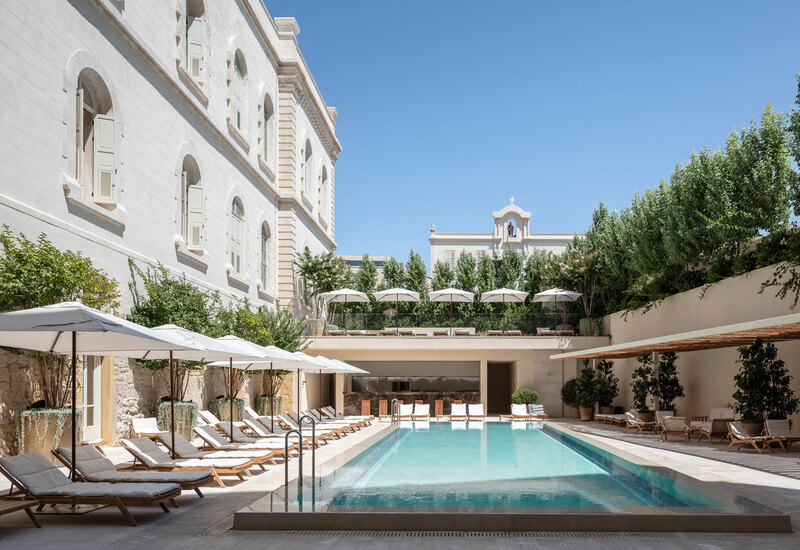 Beachside buzz, hip hotels and gastronomic wonders – all the typical Mediterranean attractions in one of the least-expected places. 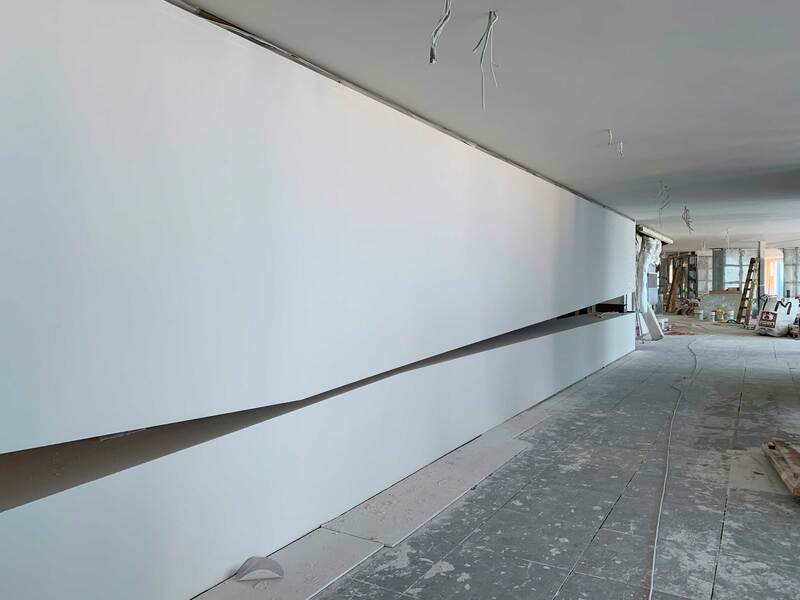 Das ehemalige Krankenhaus ist zwar modernisiert worden, ohne aber dem alten Gebäude aus dem 19. 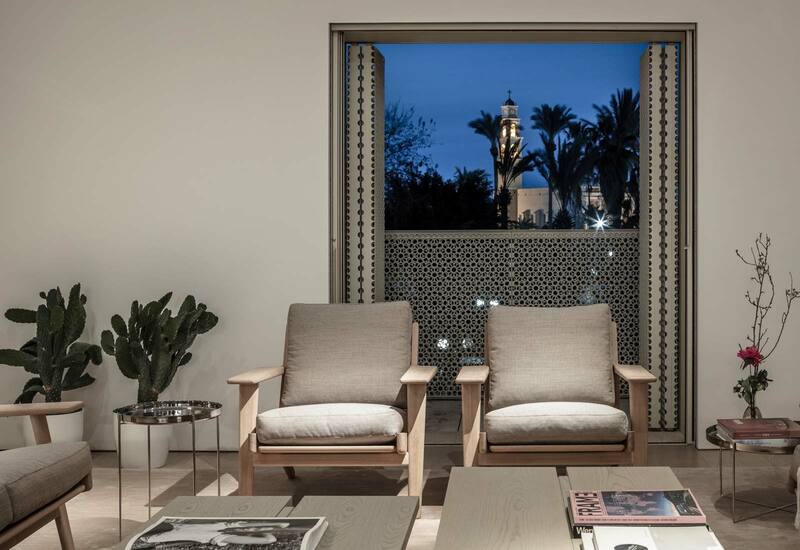 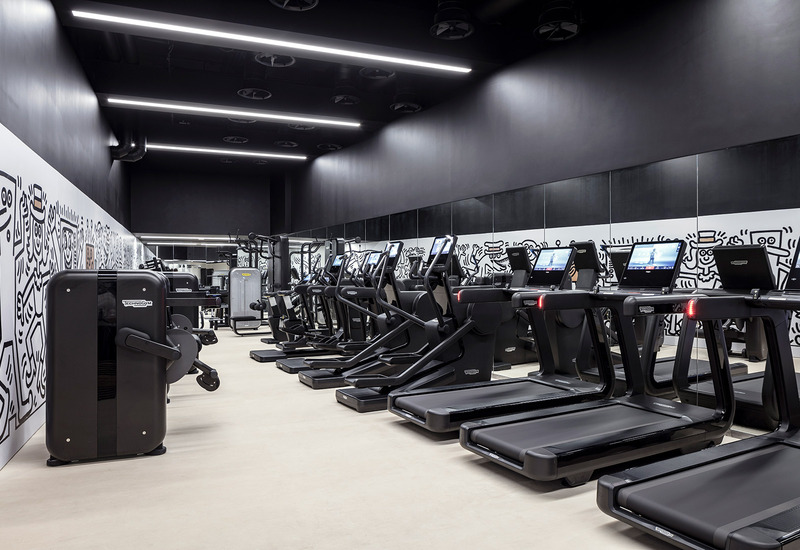 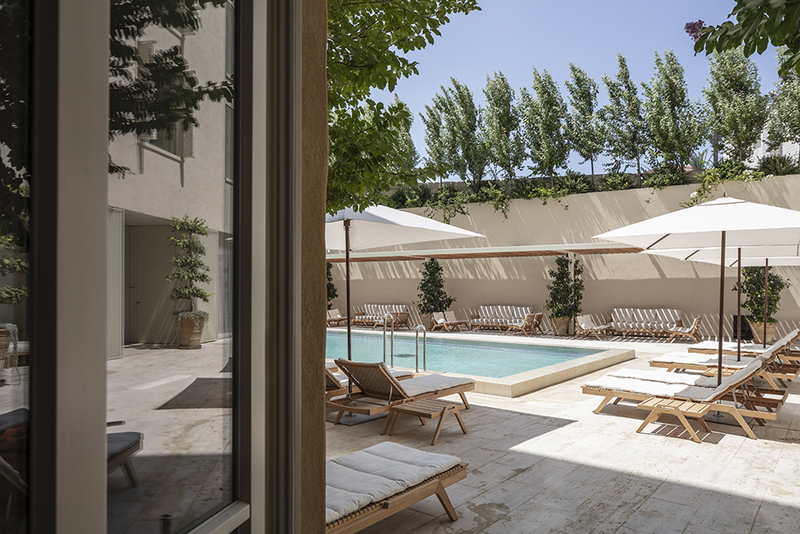 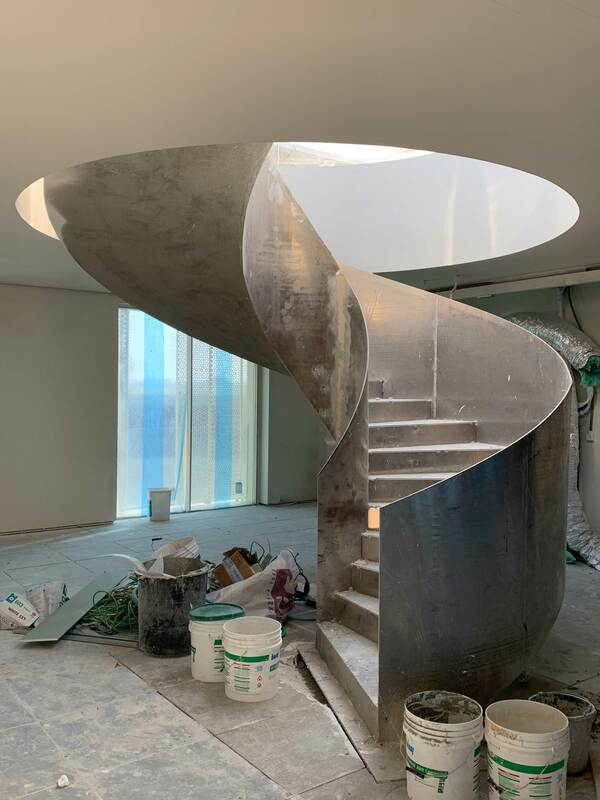 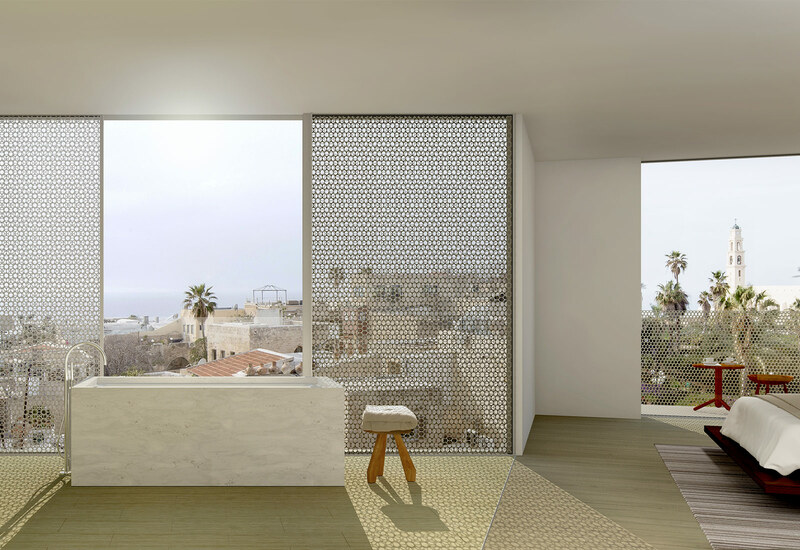 Tel Aviv’s fashionable Jaffa district, the wildly anticipated Jaffa is an ambitious 120-room hotel with 32 residences, owned by American Aby Rosen of RFR Holding and designed by the British minimalist John Pawson. 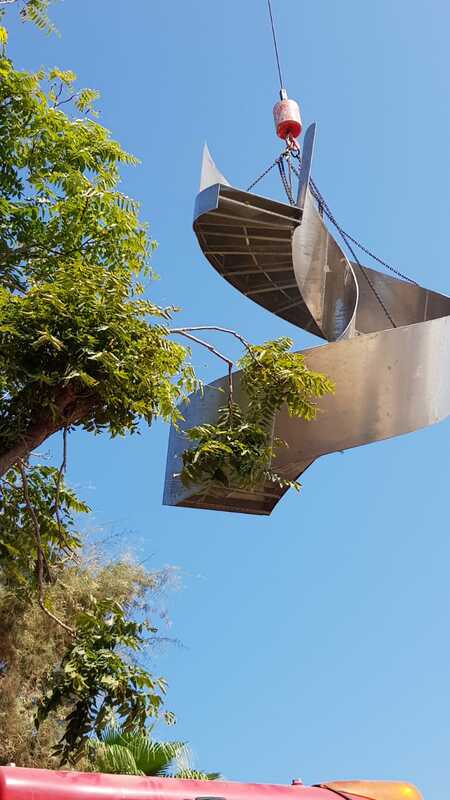 Около пяти лет назад девелопер Эйби Розен объявил о своих планах превратить бывший французский госпиталь в одном из кварталов старой Яффы в люксовый отель. 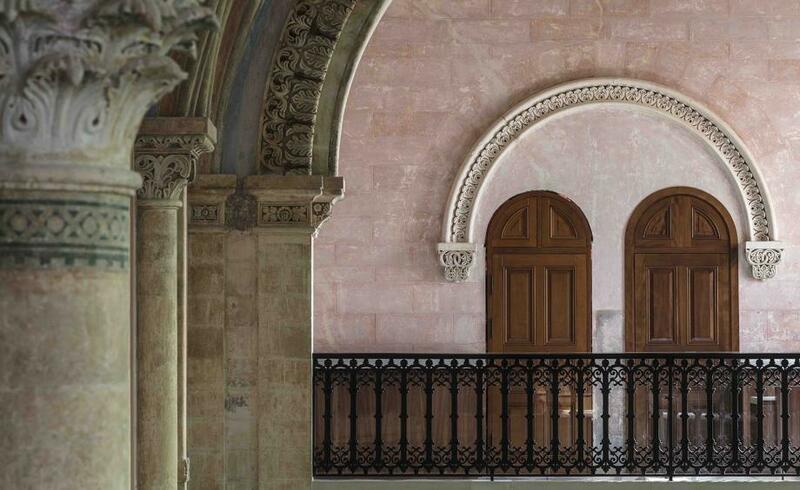 The 19th-century neo-gothic and neo-renaissance building (originally a hospital for Christians visiting Jerusalem) is on a hilltop overlooking the port. 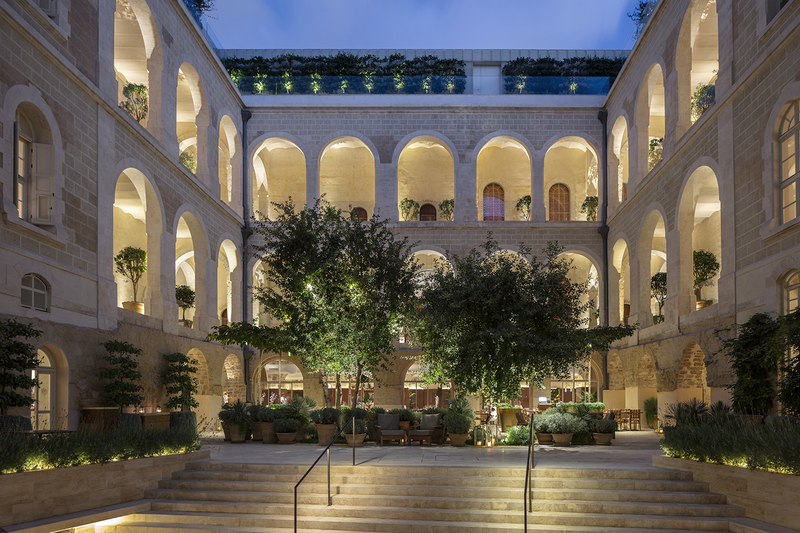 A 19th century, neo-Roman former hospital turned lavish hotel, The Jaffa is the kind of titanic, rambling property that begs to be explored. 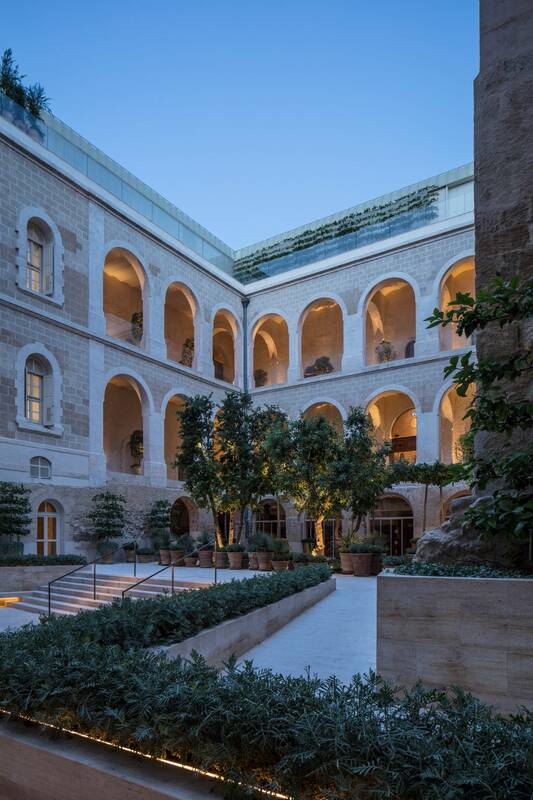 It took more than a decade to restore the 19th-century former French hospital and monastery that, together with a new adjoining building, make up The Jaffa. 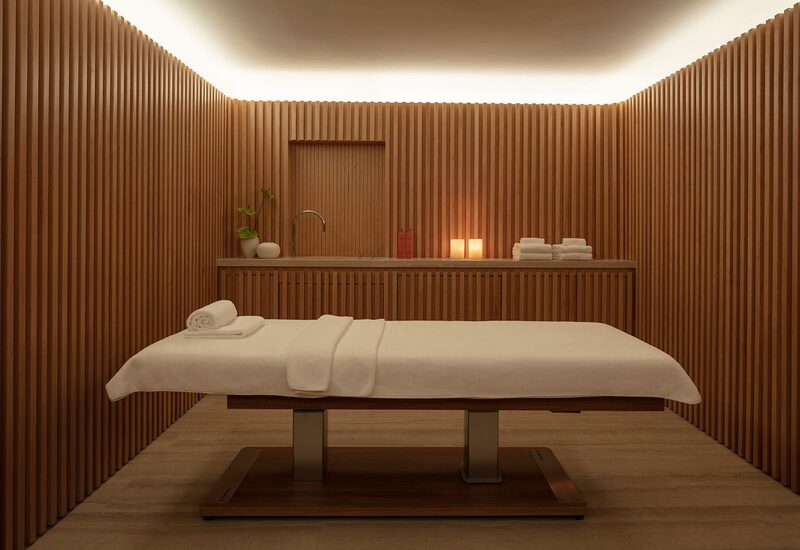 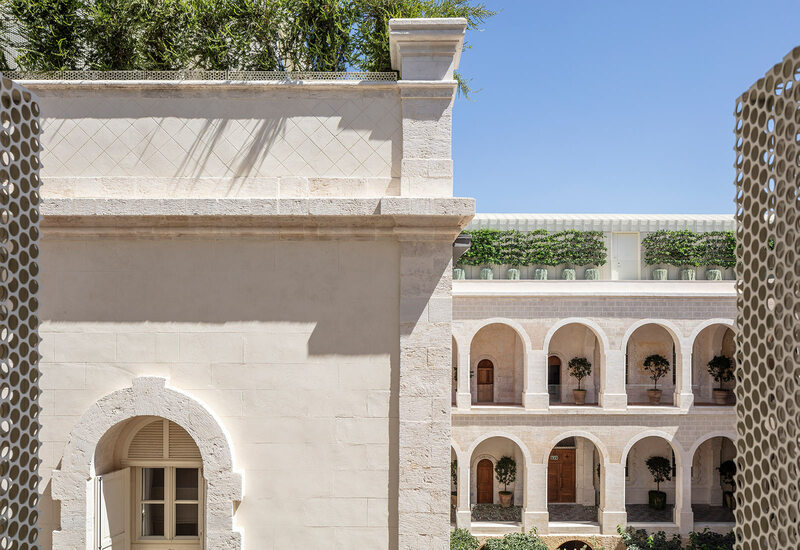 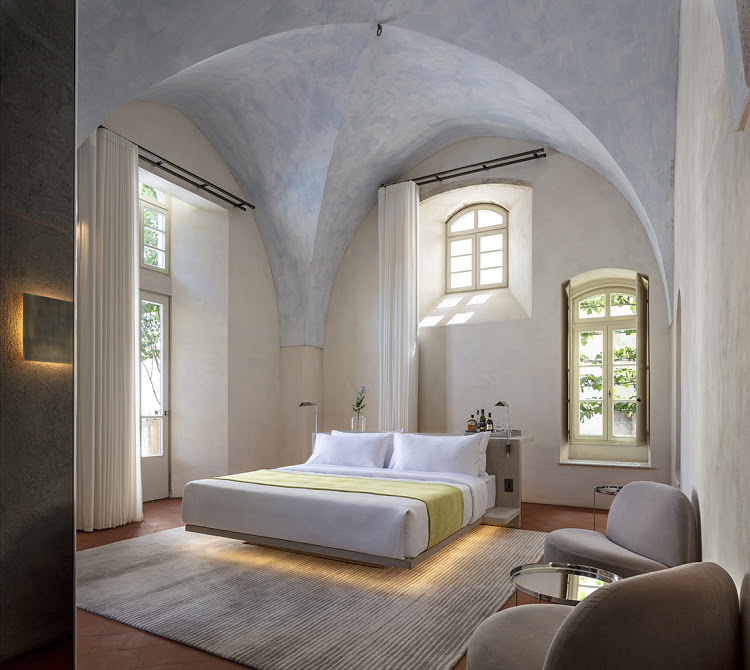 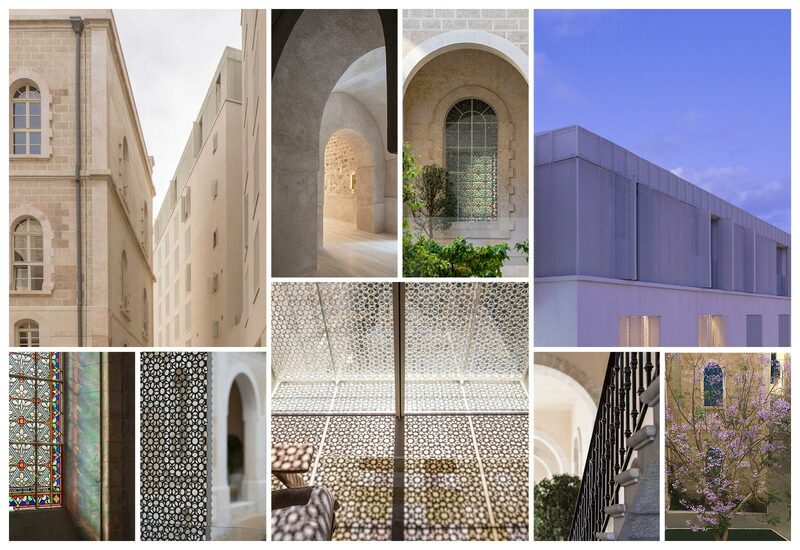 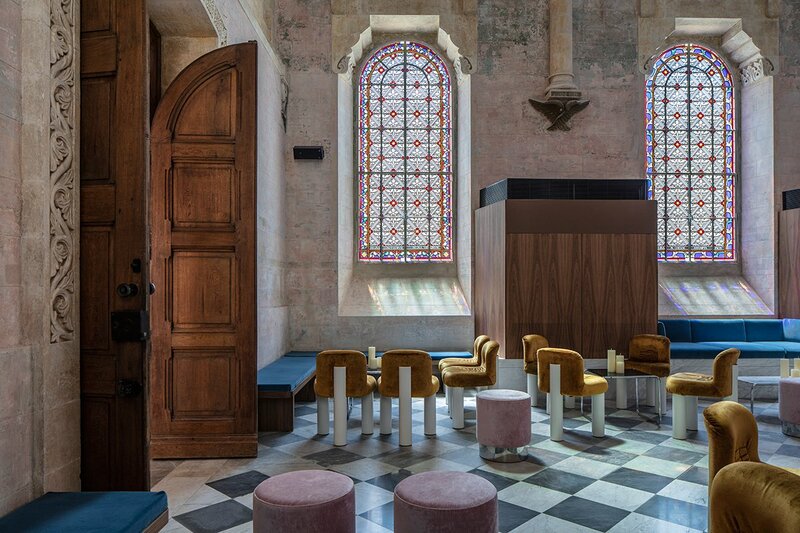 What was a French 19th-century hospital is now, thanks to a sensitive restoration and the addition of a new building by Interior Design Hall of Fame member John Pawson, the Jaffa, a luxury property featuring 120 guest rooms and suites, 32 residences, two restaurants, and a spa. 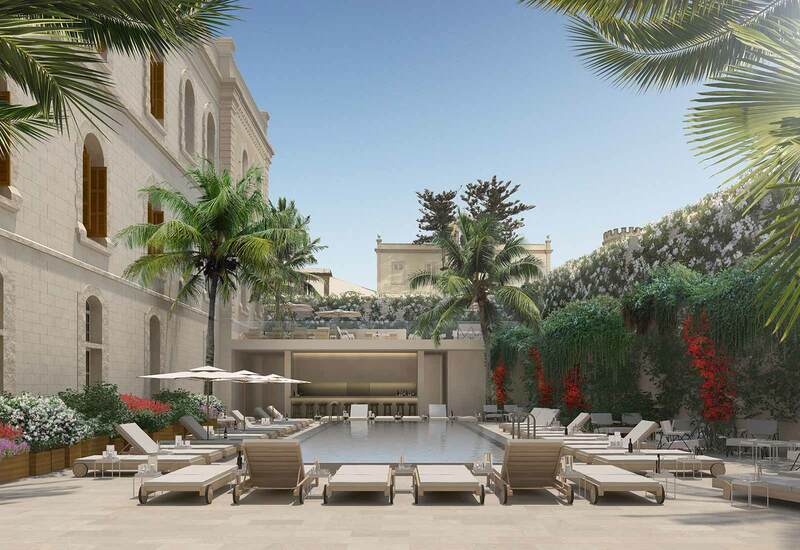 Here, our top destinations worth zeroing in on in 2019. 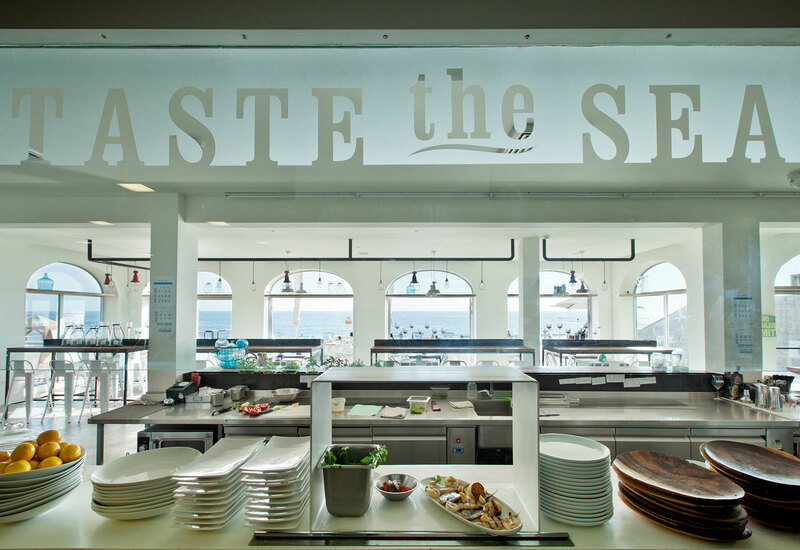 Dig in and start dreaming about your next vacation. 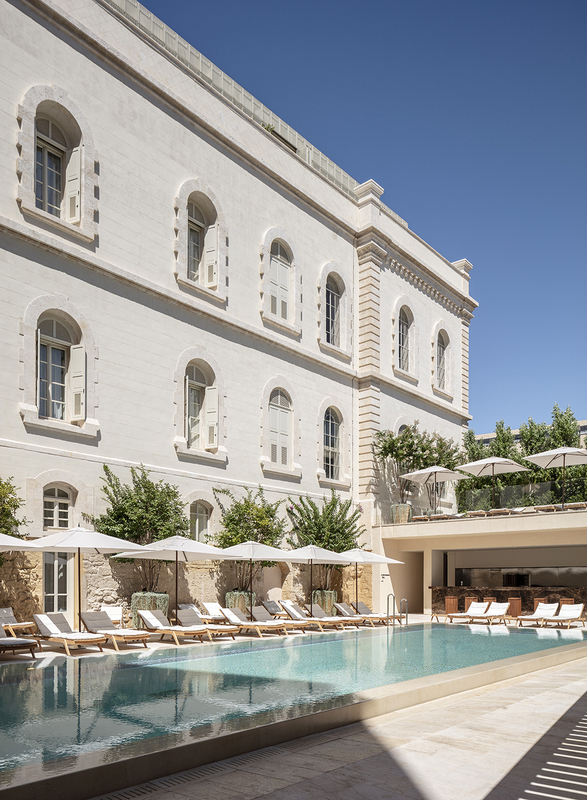 The hotel retains all of its historical feel—the façade includes outdoor galleries with arched colonnades, and the plastered walls were scraped down to reveal the generations of patina that touch the building’s signage and paint-patterned walls—yet has every modern amenity a 21st century guest could possibly want, including a high-tech spa courtesy of luxury brand L. Raphael. 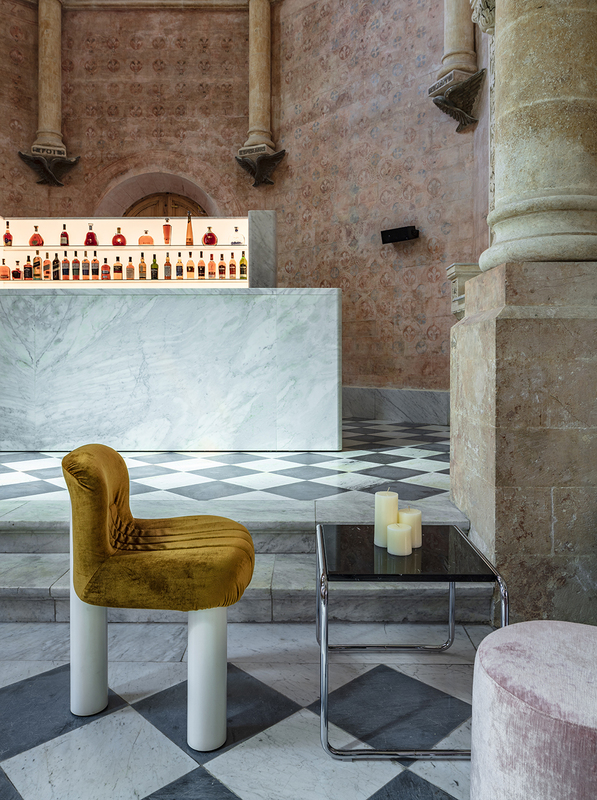 The glowing neon red prayer hands radiating on the stone wall signal that you have found the right place. 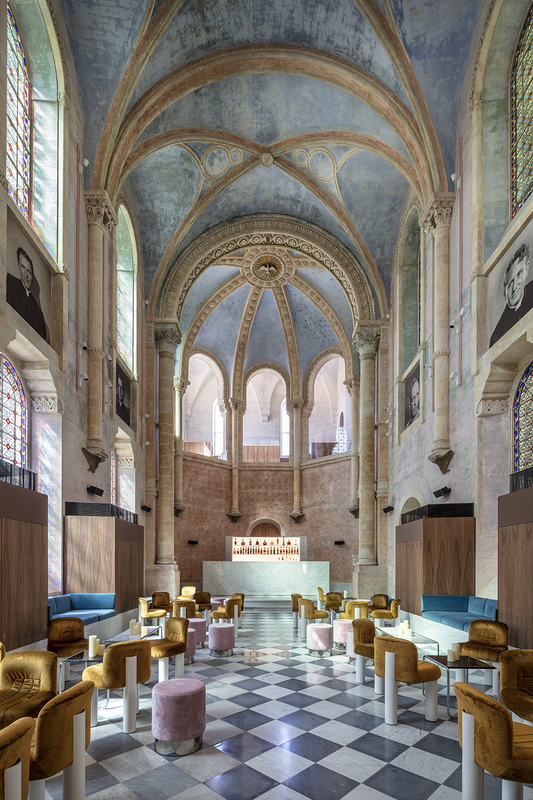 New hospitality and cultural initiatives are carving out compelling spaces amid the beauty of the country’s ancient landscapes and the tangled narrative of its society. 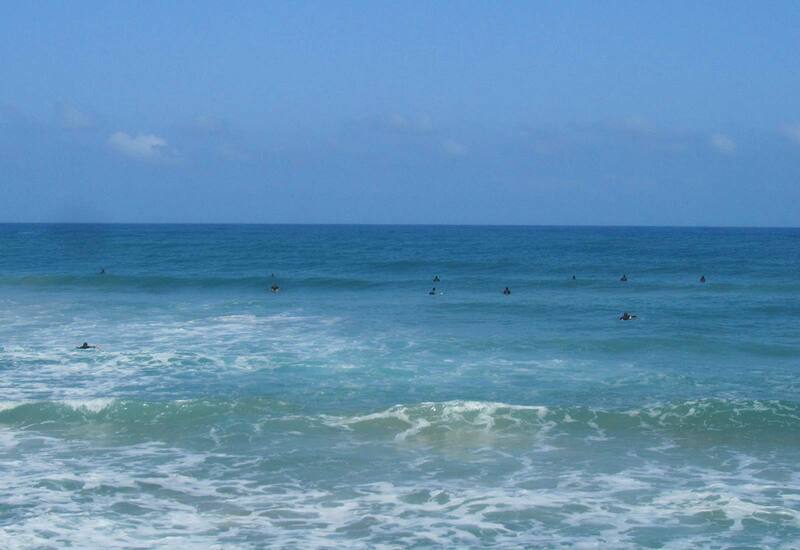 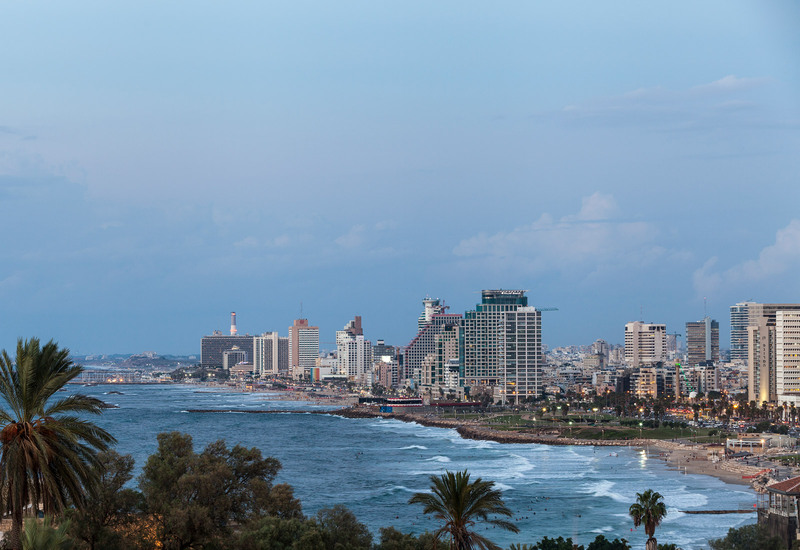 Tel Aviv has attracted a lot of attention for its nightlife and creative culinary scene in recent years. 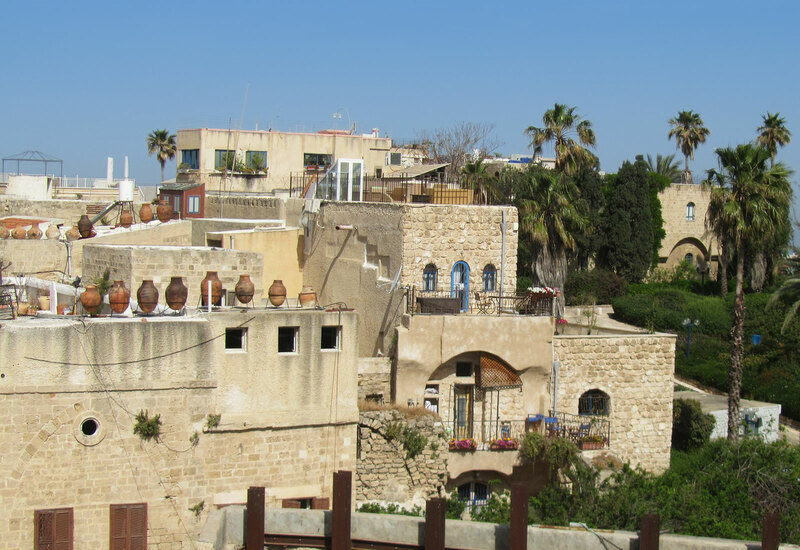 These days its center of gravity has shifted south, to the site of the ancient port town of Jaffa (technically part of the city itself). 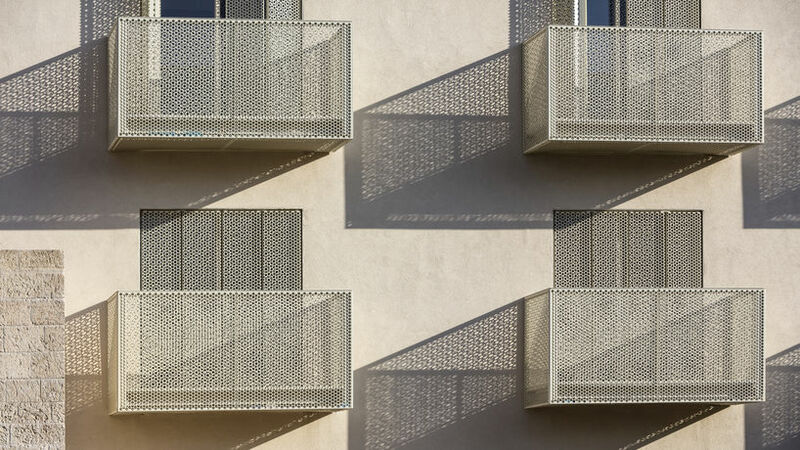 A fleeting look at some of the architectural projects – large and small – destined to make waves in 2018. 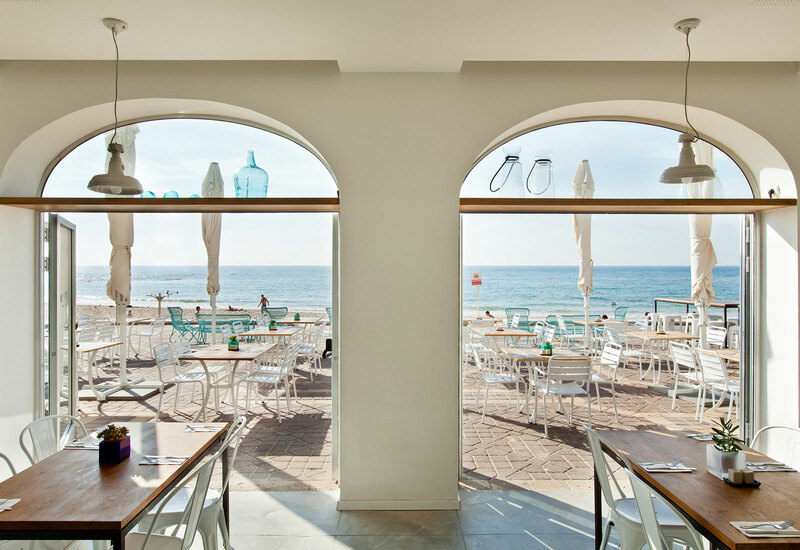 Just barely a century old, Tel Aviv embraces its seaside vibe in more ways than one—equally laid-back and strikingly cutting edge. 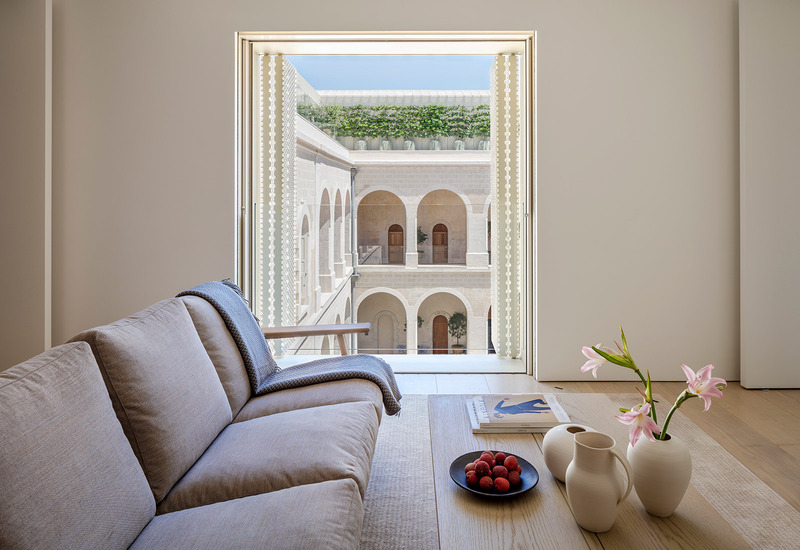 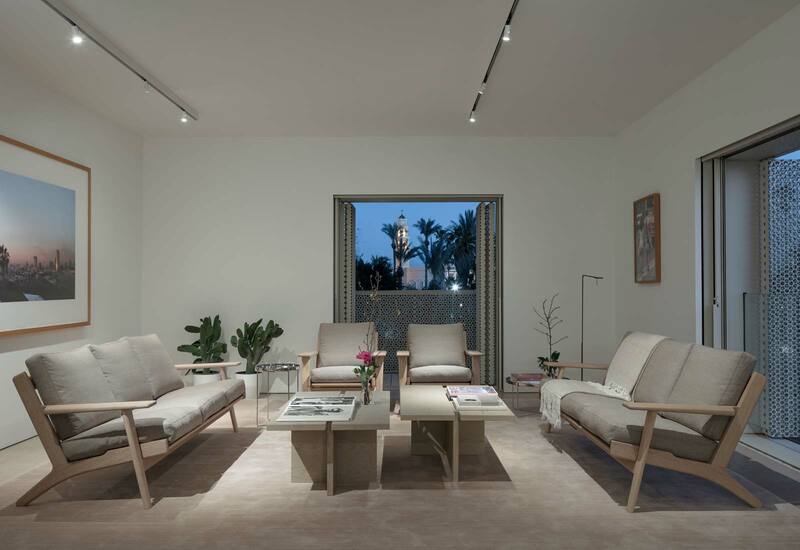 A former hospital in Tel Aviv’s Jaffa neighbourhood has been transformed into a new hotel designed by John Pawson. 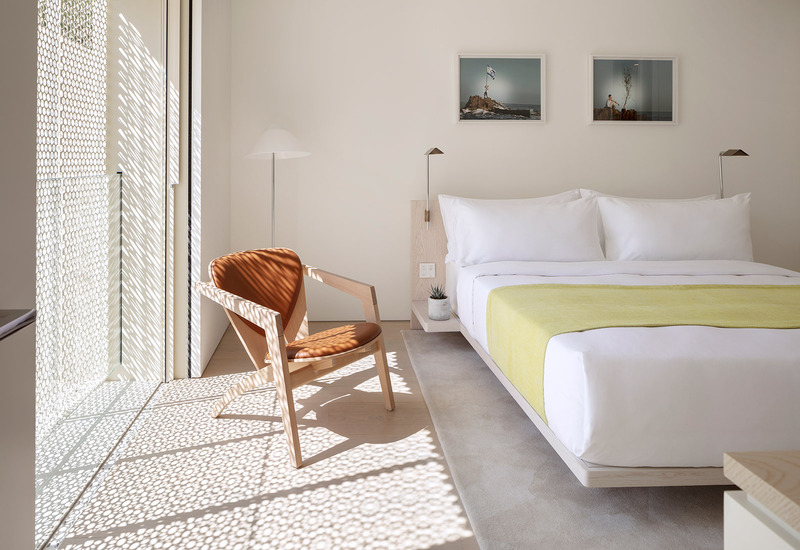 The British designer teamed up with a local architect for The Jaffa hotel, bringing his minimalist style to a landmark structure in the ancient Israeli port city. Set in the oldest neighborhood in Tel Aviv, the Jaffa Hotel is a 120-room luxury hotel that is walking distance to the district’s ancient center. 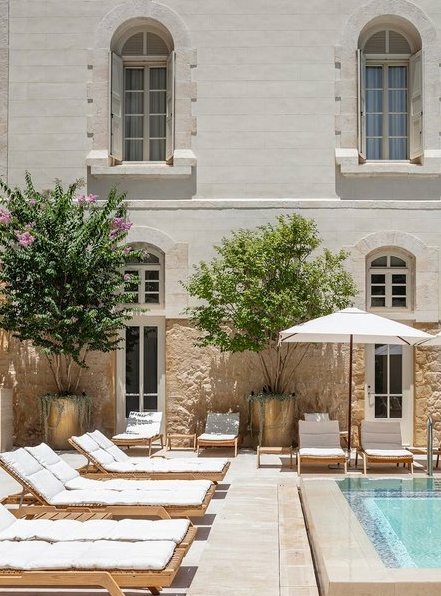 The Mediterranean vacation you didn’t know you needed. 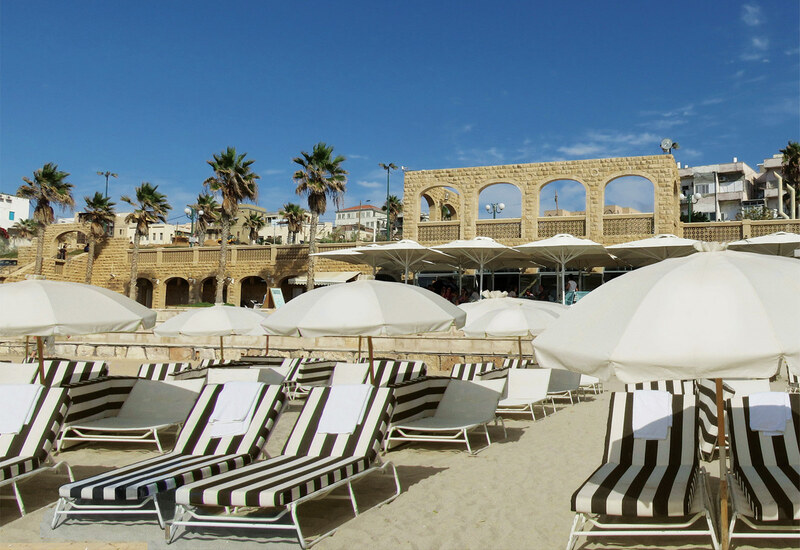 Tel Aviv’s beachfront promenade is a feast for the eyes (and the ‘gram) on any given sunset. 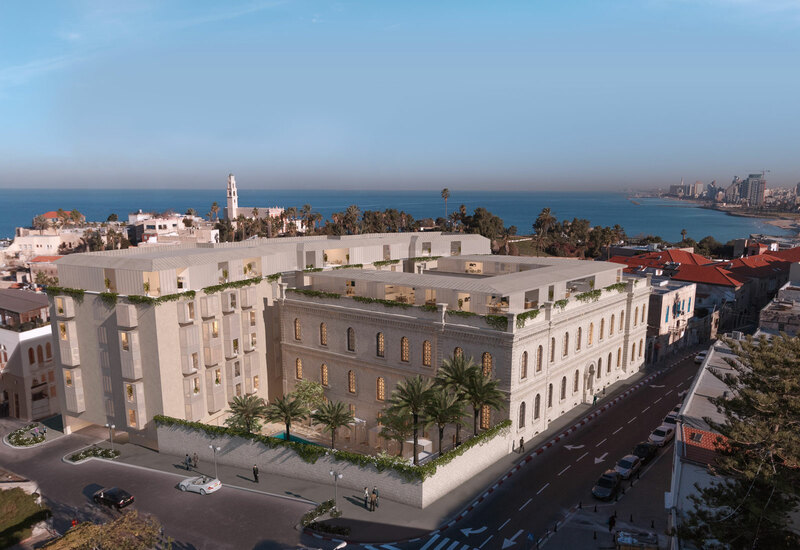 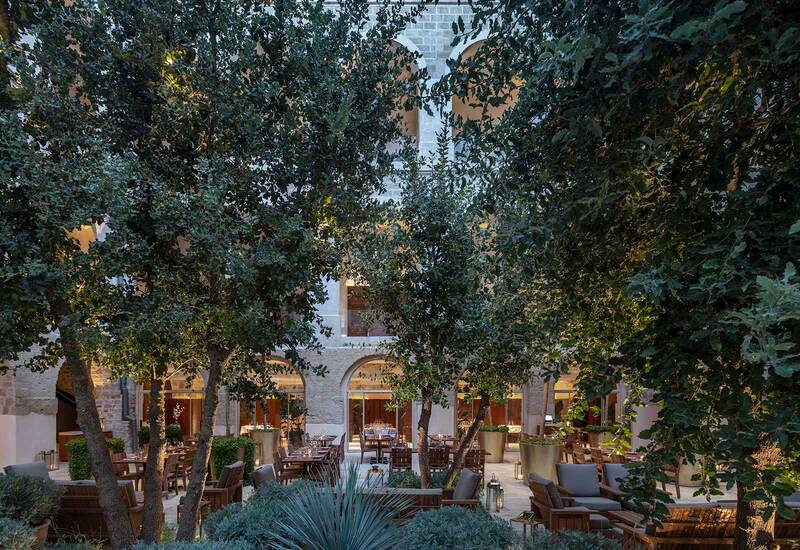 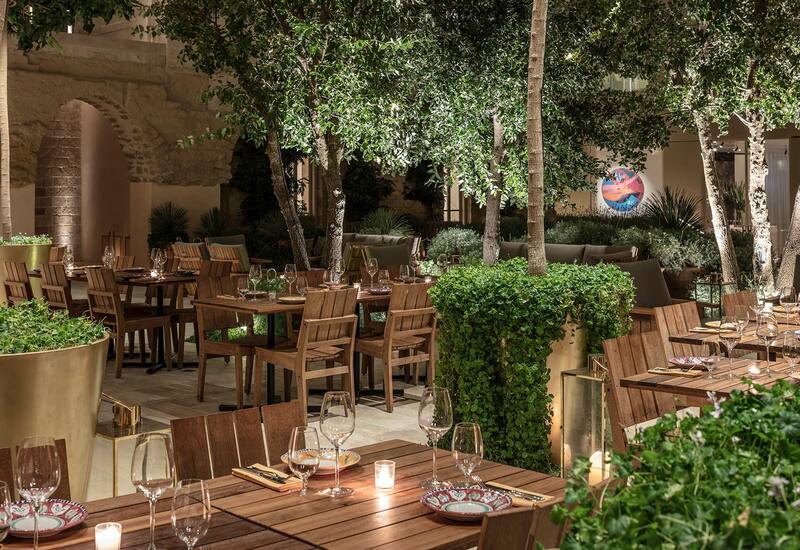 In a nod to the surrounding area’s history, Marriott has opened The Jaffa as part of its Luxury Collection. 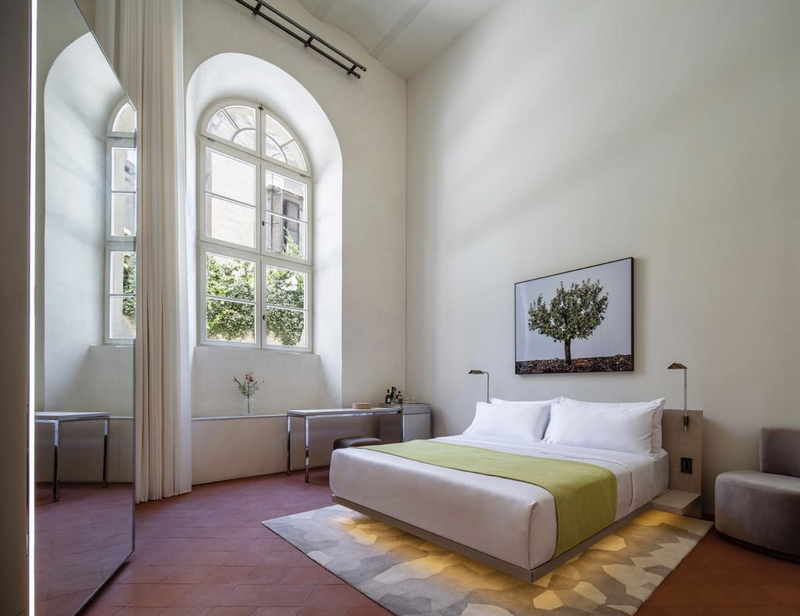 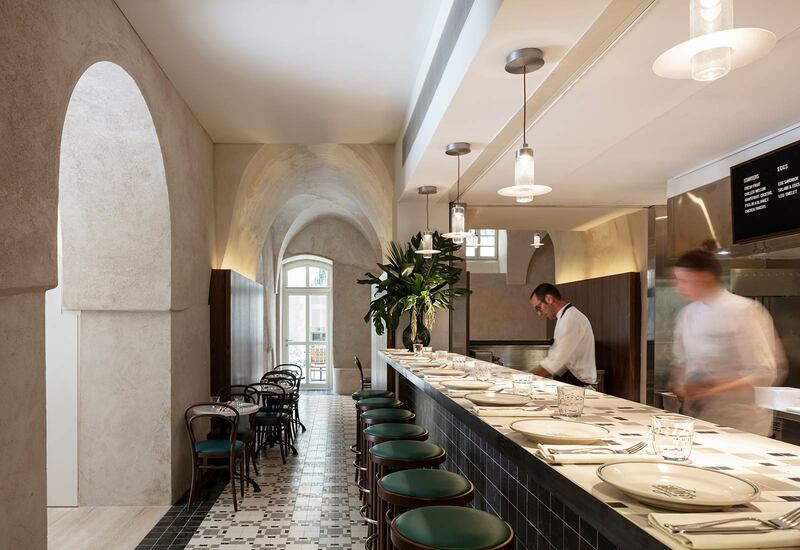 The hotel, which is housed in a 19th-century hospital, features contemporary and classic elements, drawing from Roman, Corinthian and Arab influences in order to connect seamlessly with the multicultural Jaffa neighbourhood. The ancient city gains another lavish hotel mixing history with posh amenities—have you booked your trip yet? Designed by British architect John Pawson, this penthouse enjoys stunning views of Jaffa’s ancient port and the Mediterranean Sea. 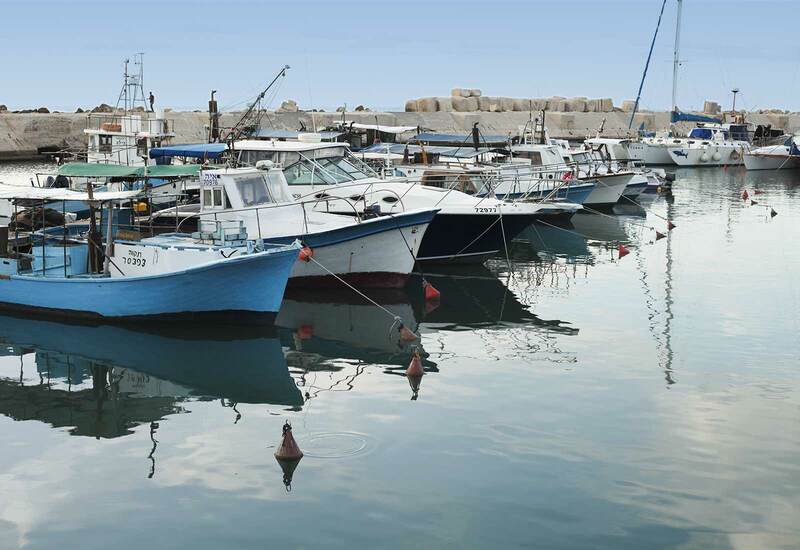 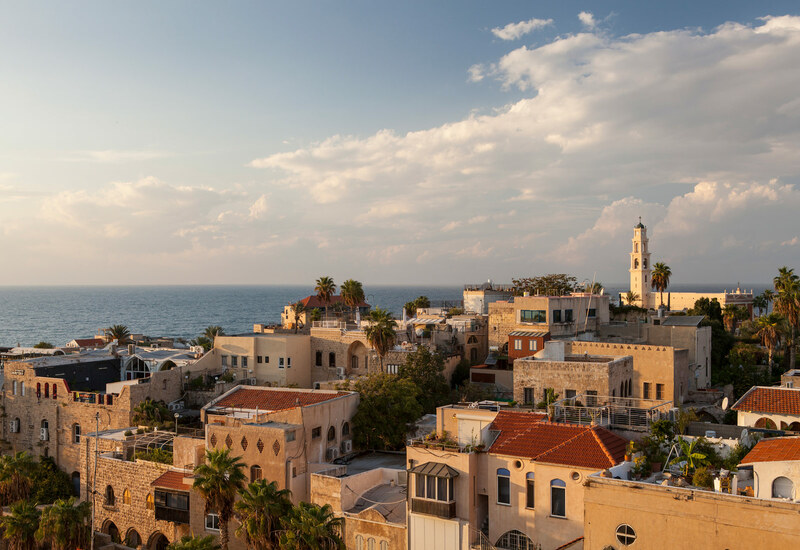 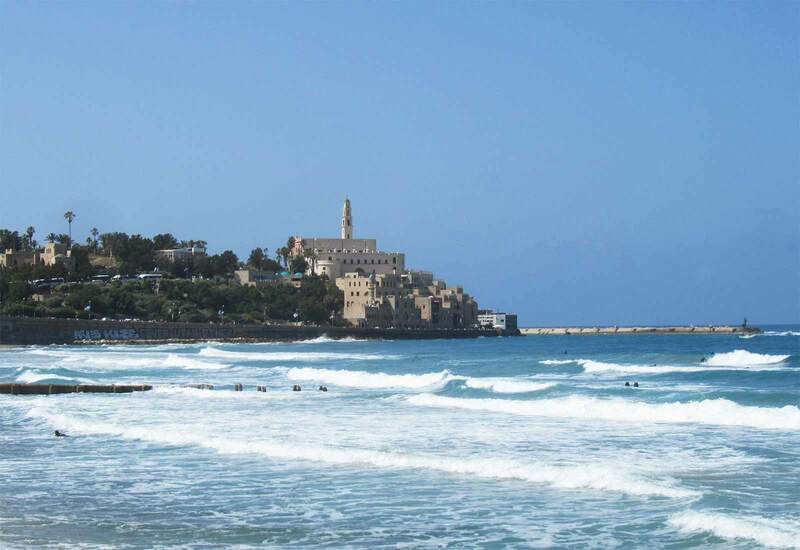 Jaffa, the ancient port city, is witnessing an explosion in demand for luxury housing and hotel accommodations. 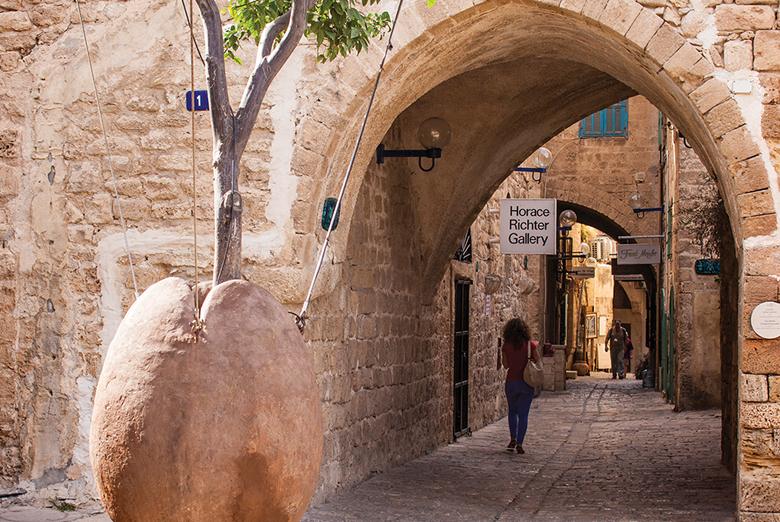 Steeped in layer after layer of history, Jaffa has long been on the itineraries of diaspora Jewish travelers, who enjoy its stunning port and its boutiques and cafés. 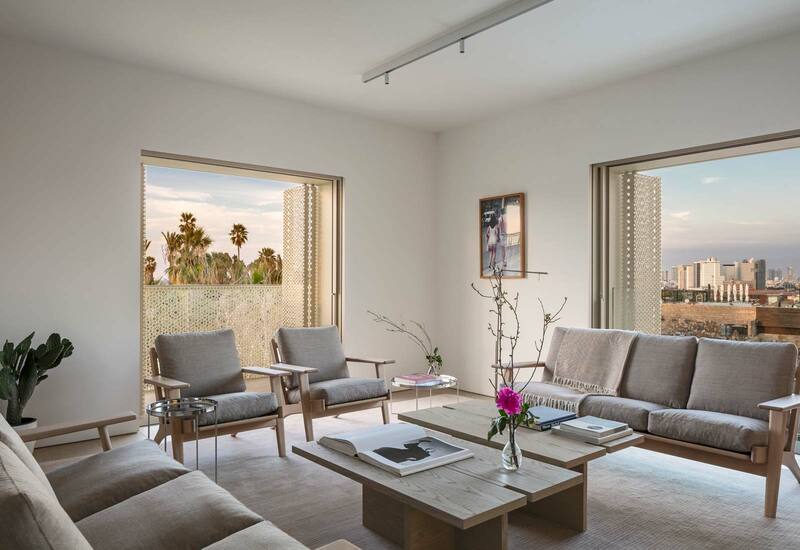 But now, it is also an increasingly popular choice for vacations and second homes. The new hotels we’re most looking forward to next year run the gamut from big-name big brands to boutique beauties, and from urban escapes in familiar destinations to far-flung lodges in exotic locales. 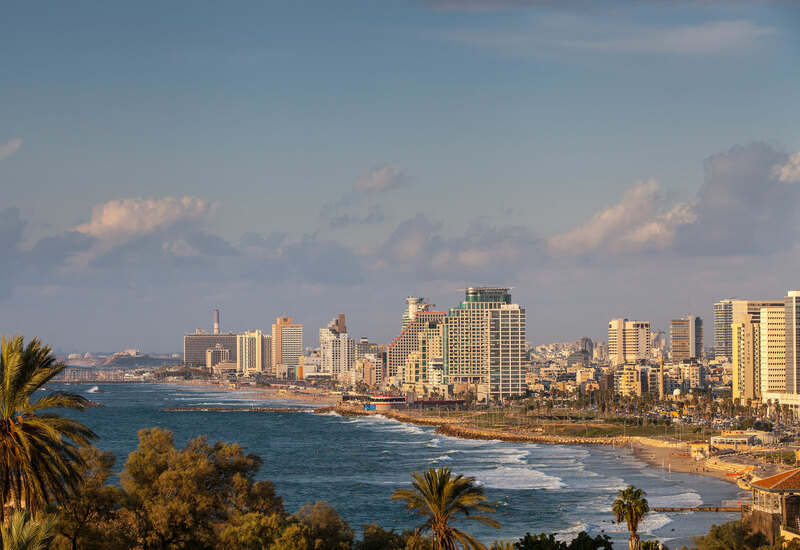 Wealthy Israelis have long bought property in cosmopolitan Tel Aviv, but young tech entrepreneurs are snapping up property there, too. Tel Aviv is a city that combines the best parts of New York and Los Angeles, with warm weather, beautiful architecture and neighborhoods that have a lot of personality. 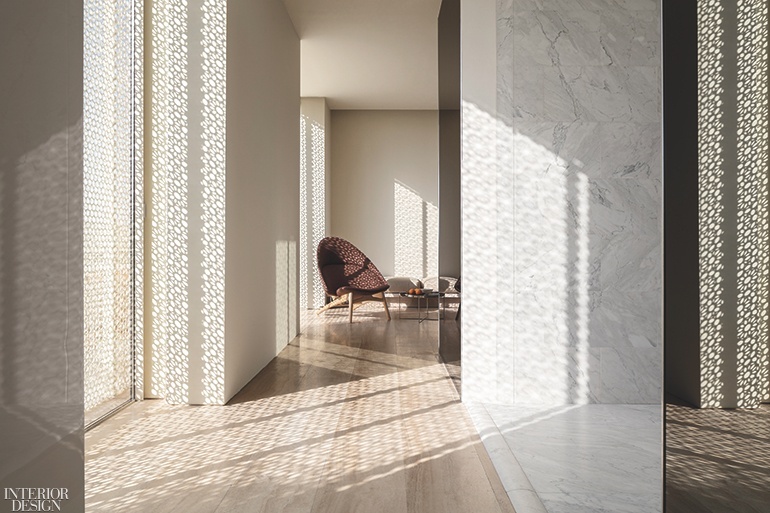 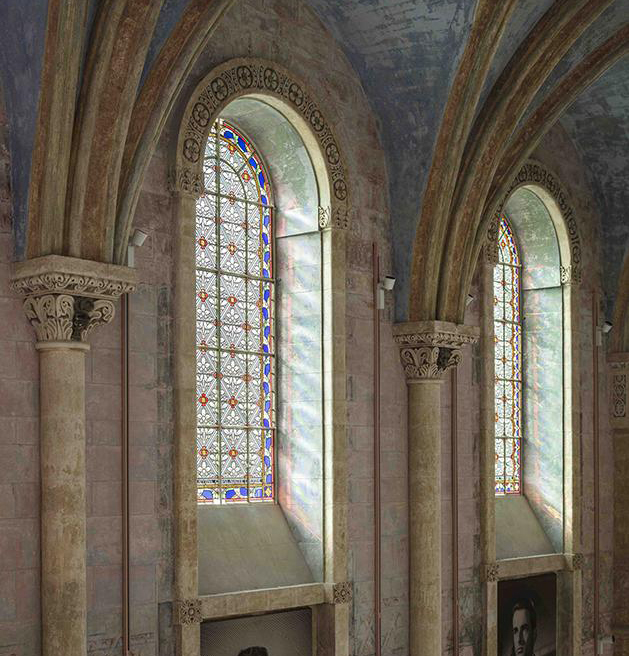 Located in a newly constructed wing next to the 19th-century French Hospital and due for completion next year, the 38 luxury apartments, co-designed by master of minimalism John Pawson, combine the best of the old (vaulted ceilings, stained-glass windows) with W’s ultra-chic contemporary approach. 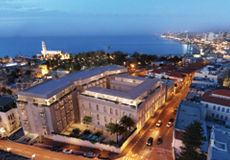 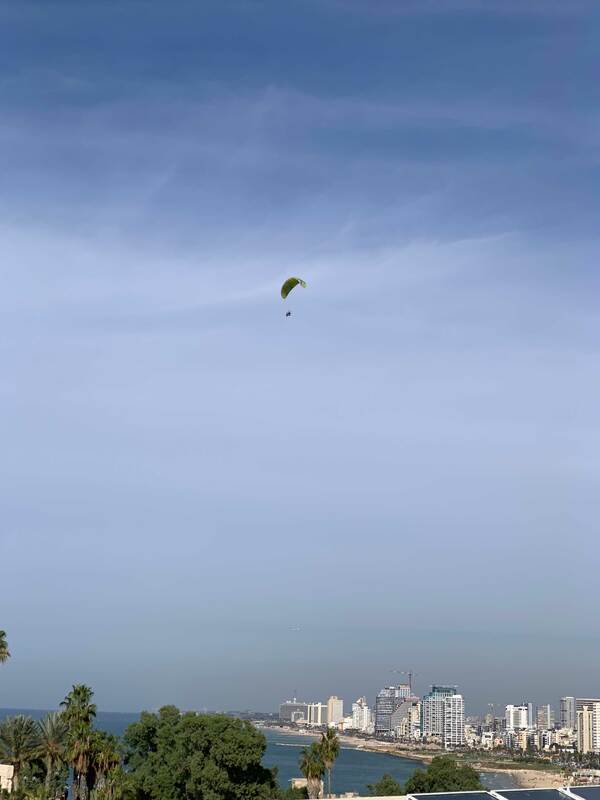 W Tel Aviv-Jaffa Residences & Hotel’s profiles on social media — including but not limited to Facebook, Twitter, Instagram, Pinterest, YouTube and Google+ — are fun, family-friendly communities, where we invite you to share your passion, constructive feedback and questions about W Tel Aviv-Jaffa Residences & Hotel, our products and services. 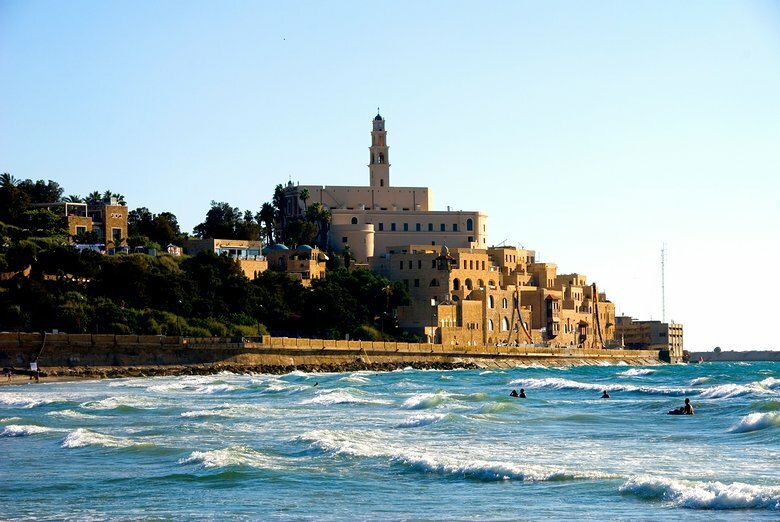 In addition to the rights that you grant to us on each social media platform, you grant to W Tel Aviv-Jaffa Residences & Hotel a royalty-free license to use your User Content in any manner or media, globally, forever, without any obligation to you. 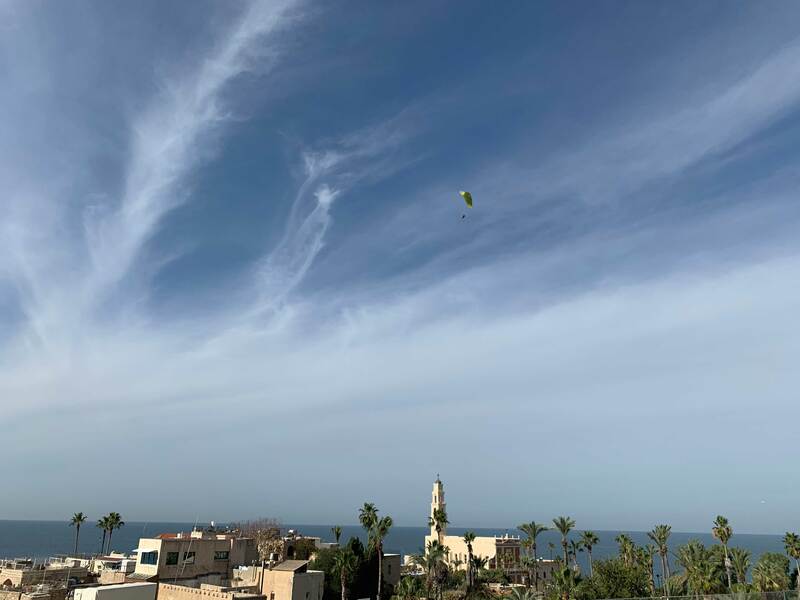 This includes the right to use any ideas you submit (including ideas about our products or advertising, marketing, and social media campaigns) in any manner that we choose, without any financial obligation or otherwise. You also grant us the right to include the name provided with the User Content you have posted.